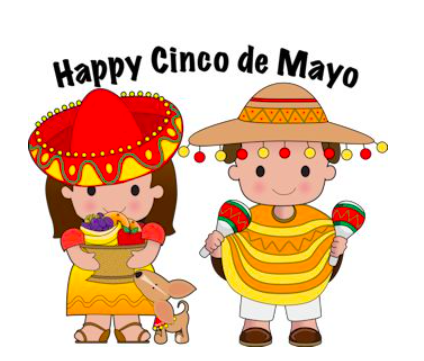 The Cinco de Mayo is Spanish for The Fifth of May. 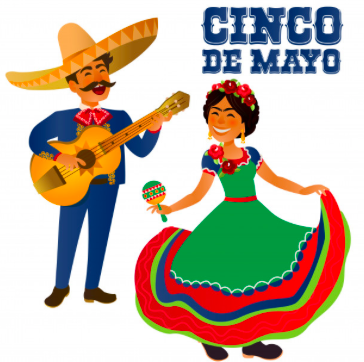 The Cinco de Mayo (The Fifth of May) is a day of celebrations for the people of Mexico and Mexican-Americans. What does “Cinco de Mayo” celebrate? 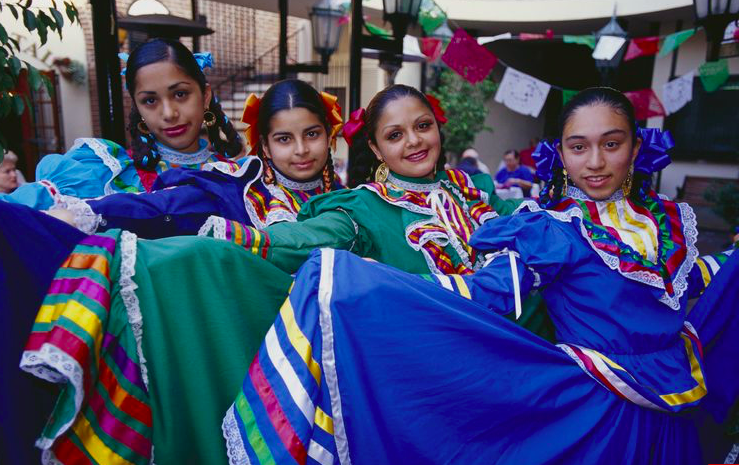 Cinco de Mayo is a celebration of Mexican heritage, culture, and pride. 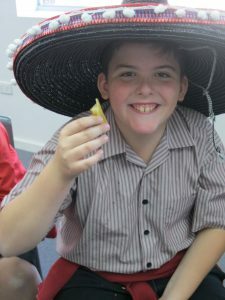 Cinco de Mayo! 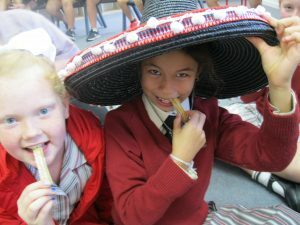 It’s everyone’s favourite Mexican holiday, a chance to listen to traditional music, eat some Mexican party food and maybe even speak some Spanish with friends. The day is celebrated with parades, carnivals, street fairs, and sometimes fireworks at night. 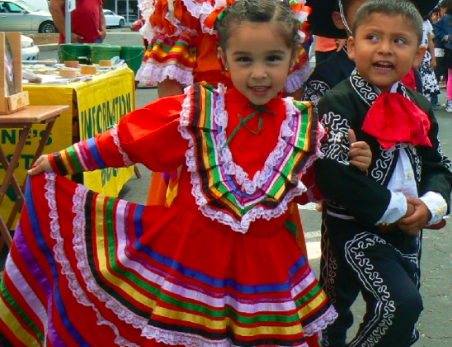 There are some traditional Mexican celebrations such as the Baile Folklorico dance along with mariachi music. 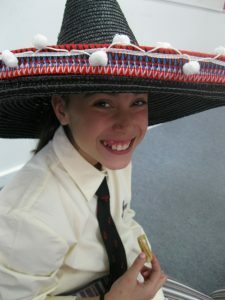 People dress up in traditional Mexican clothing as well. 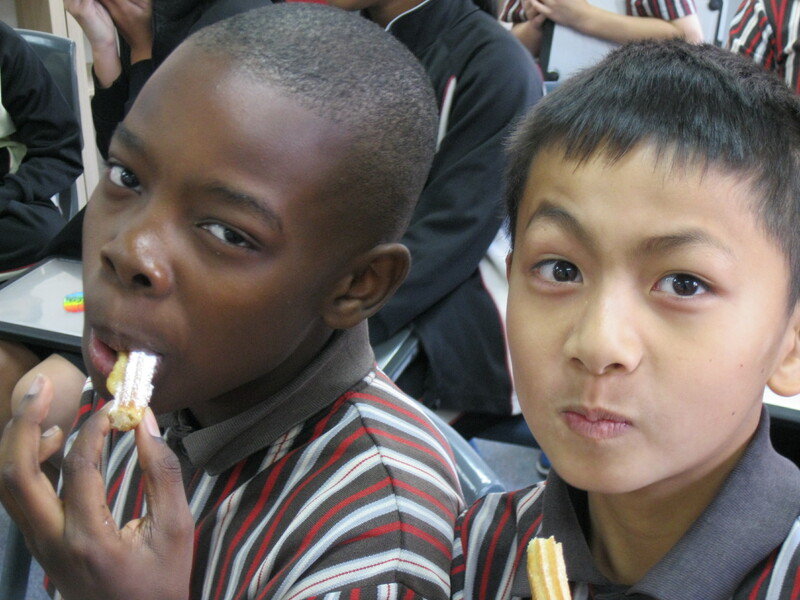 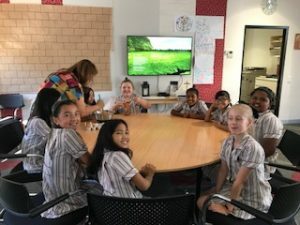 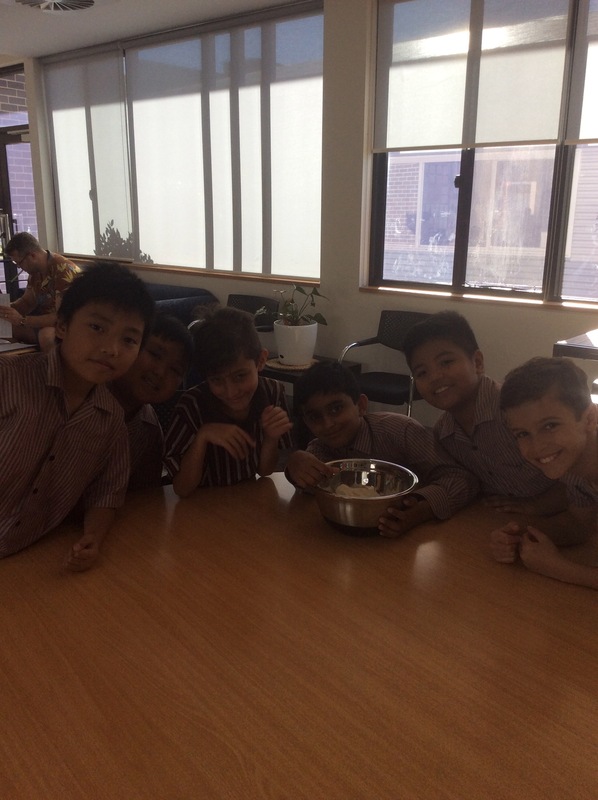 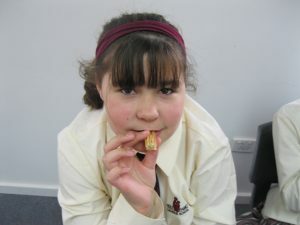 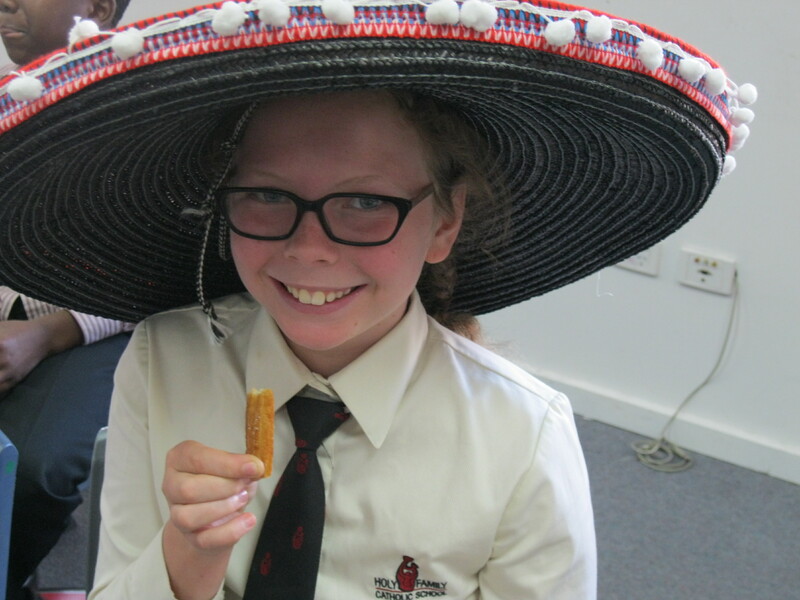 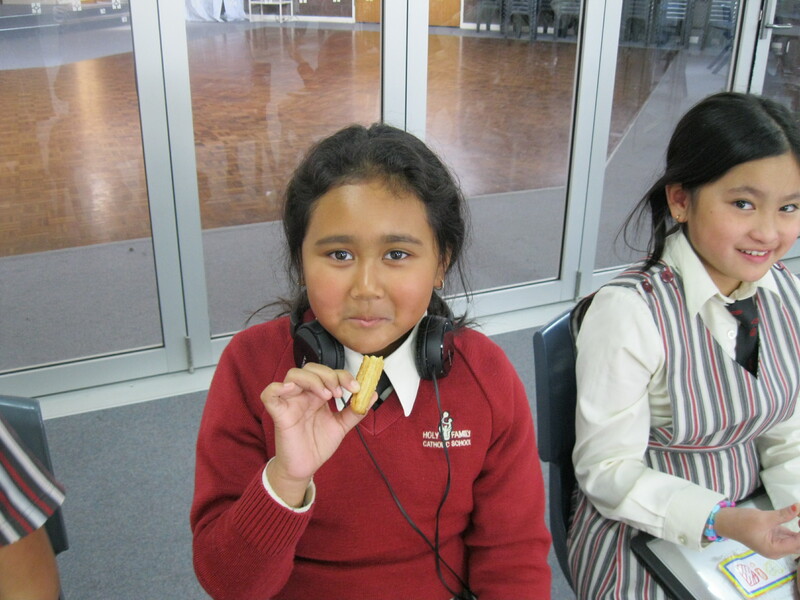 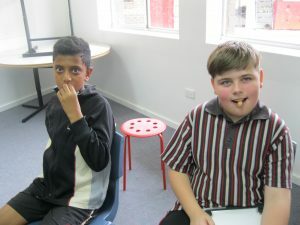 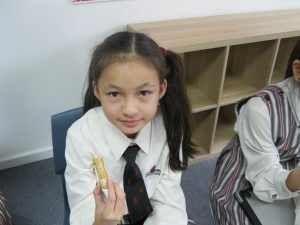 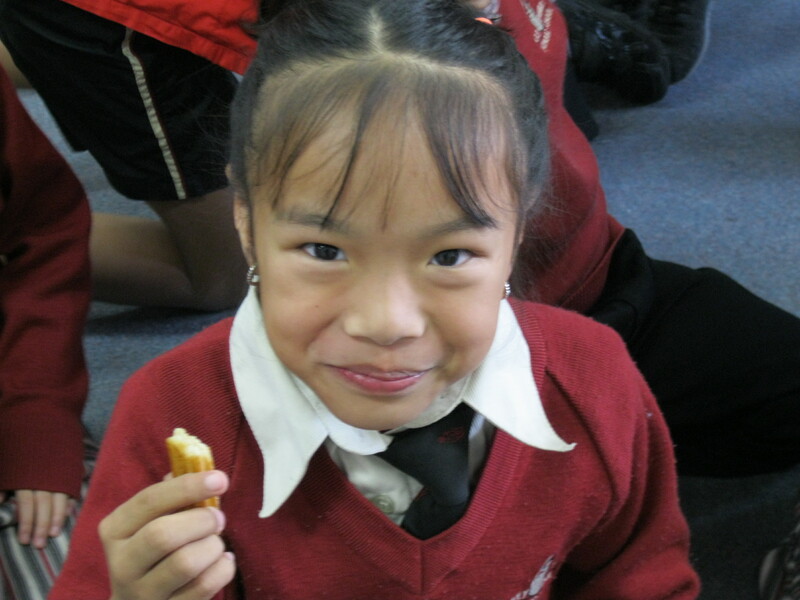 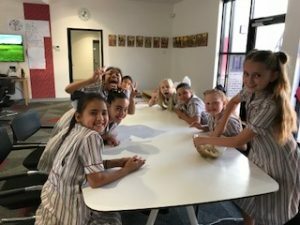 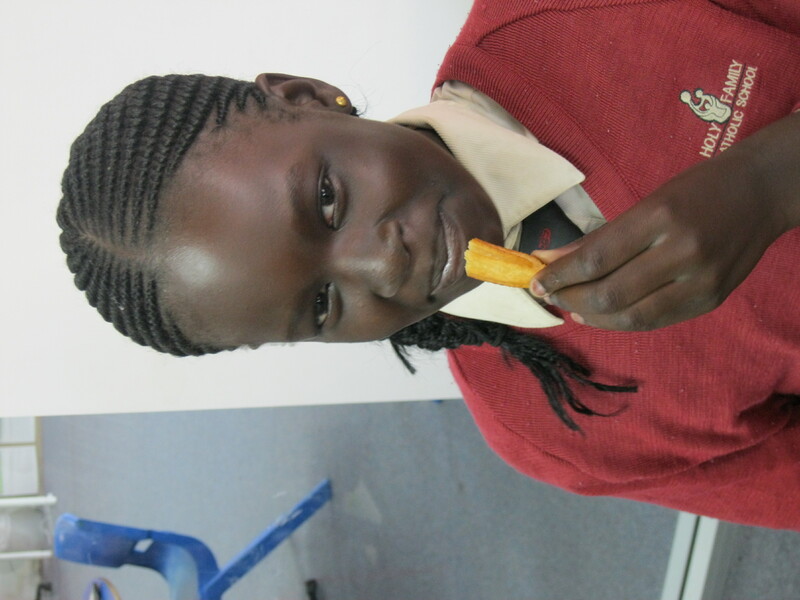 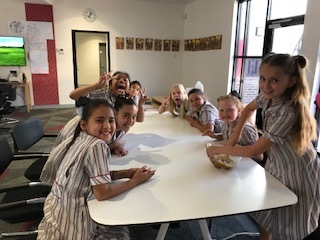 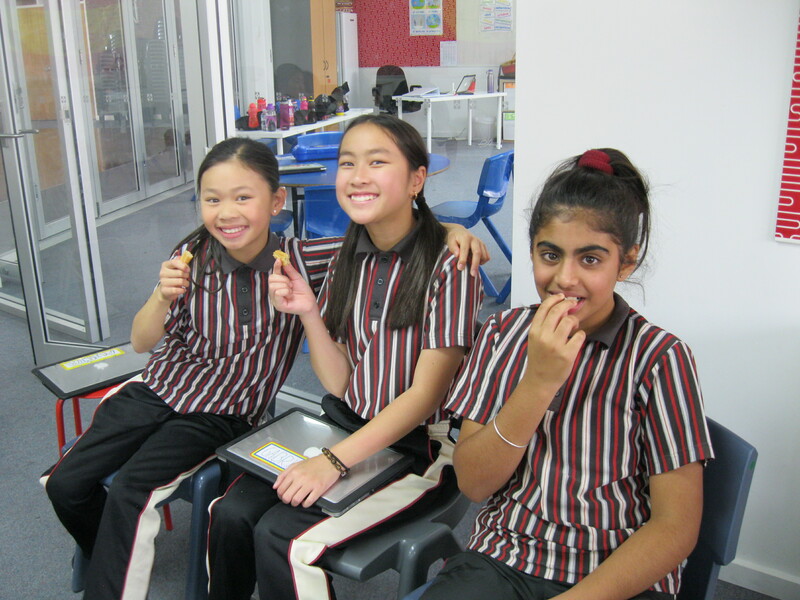 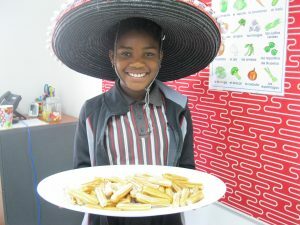 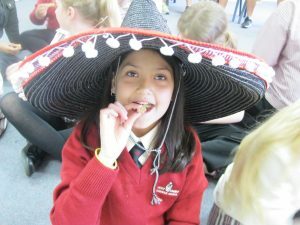 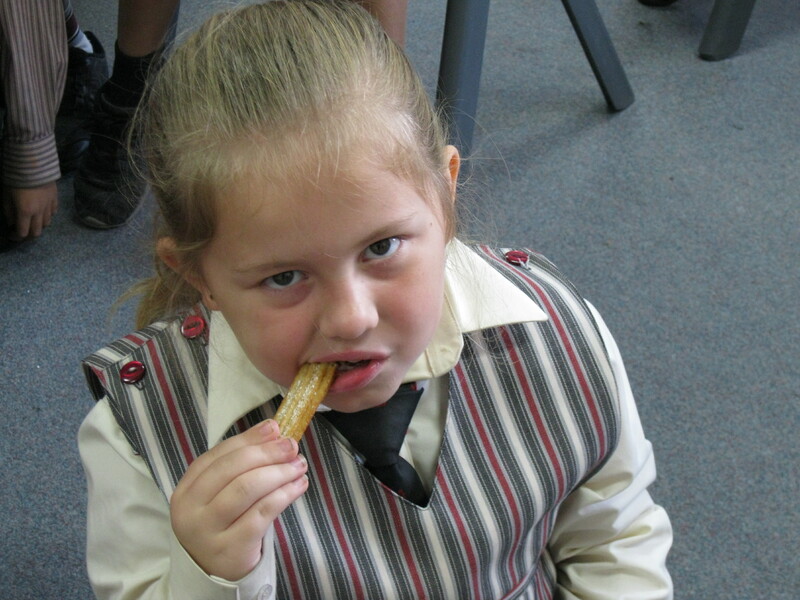 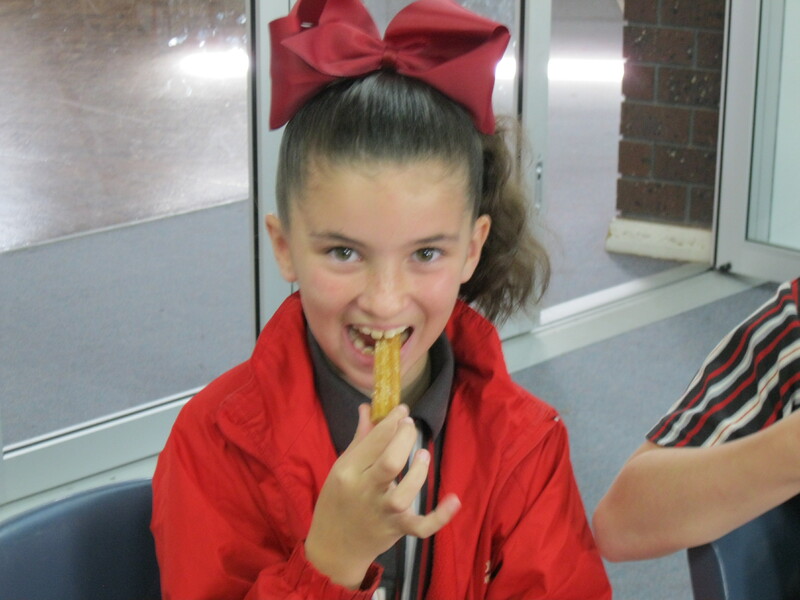 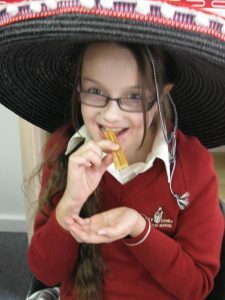 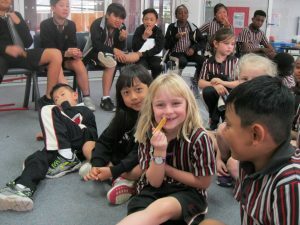 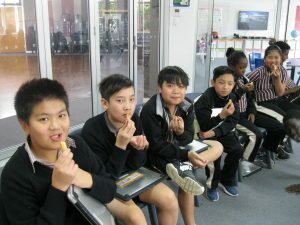 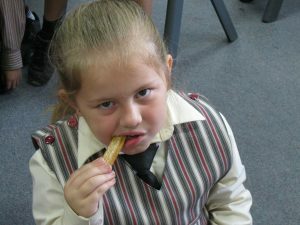 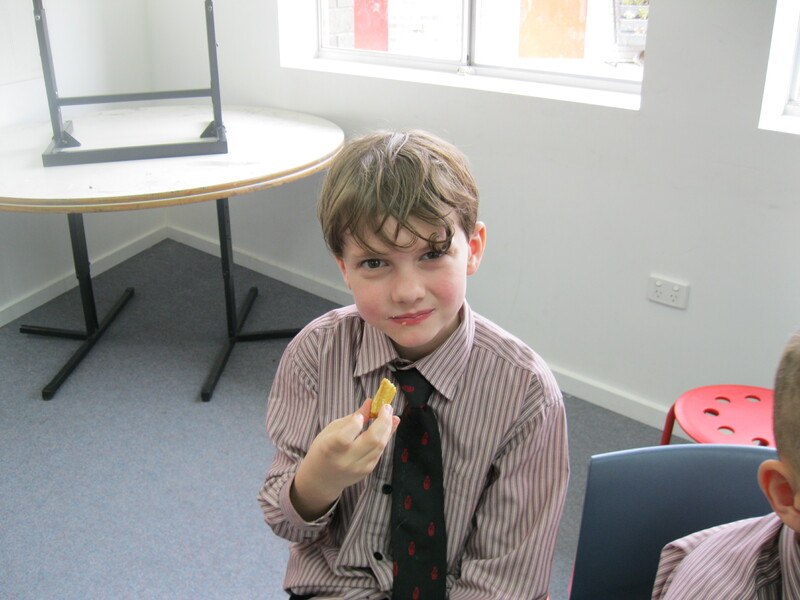 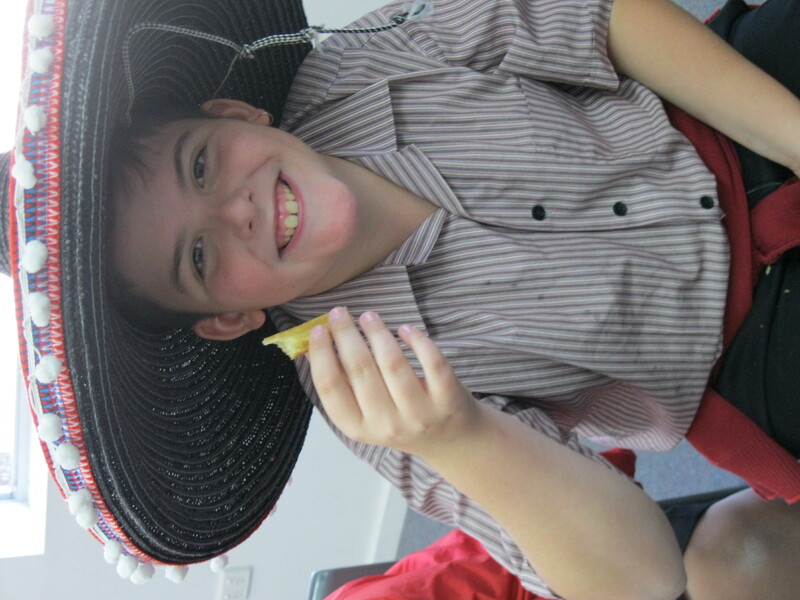 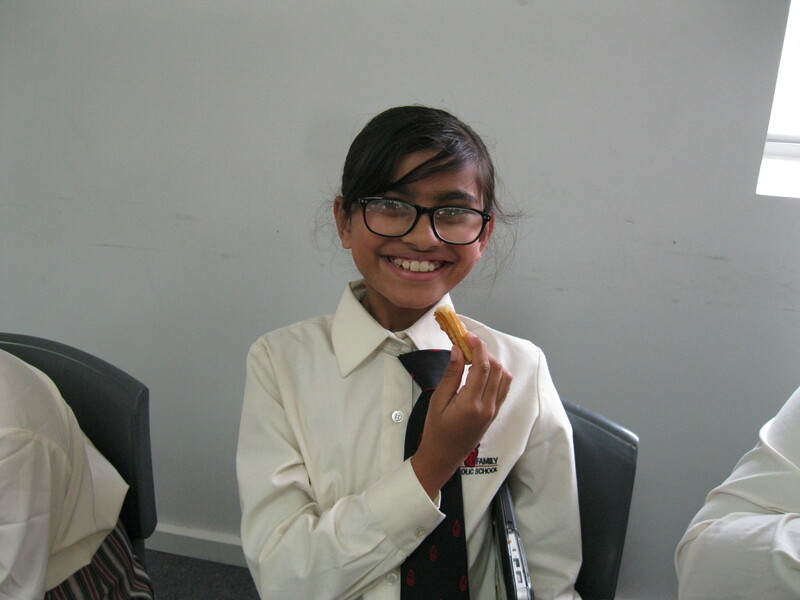 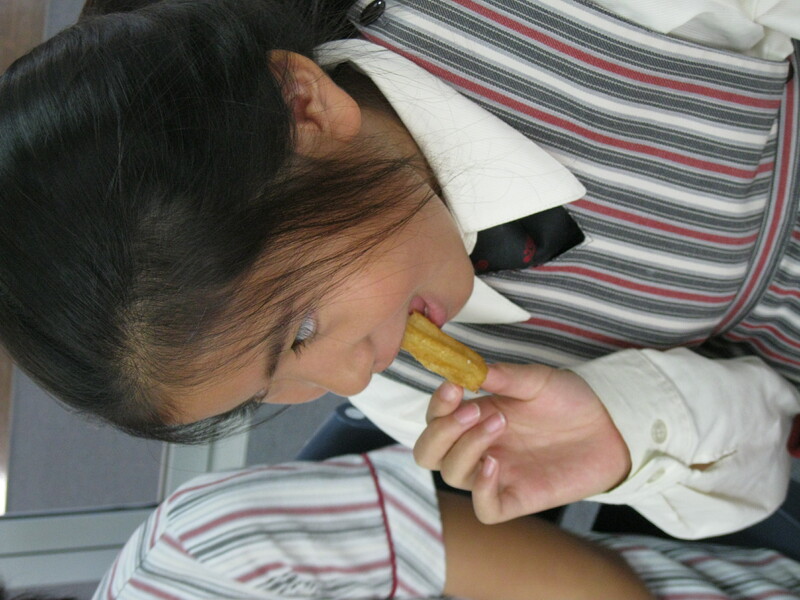 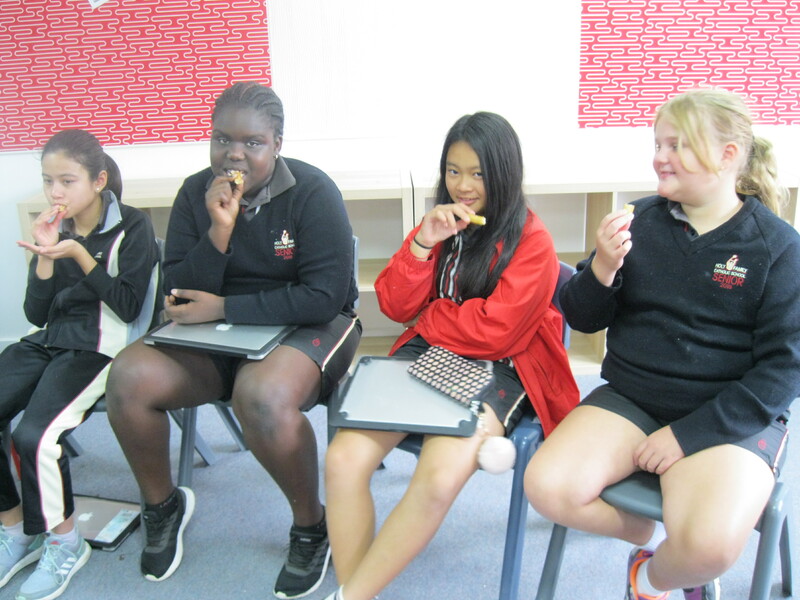 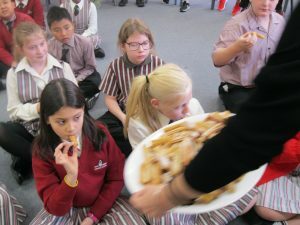 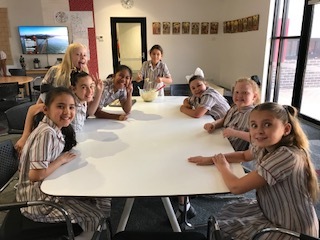 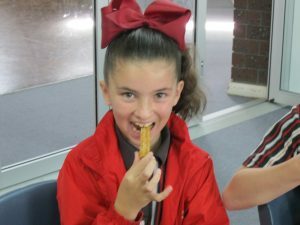 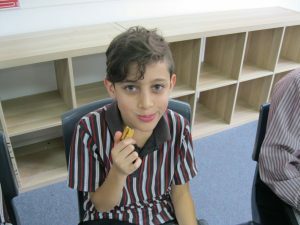 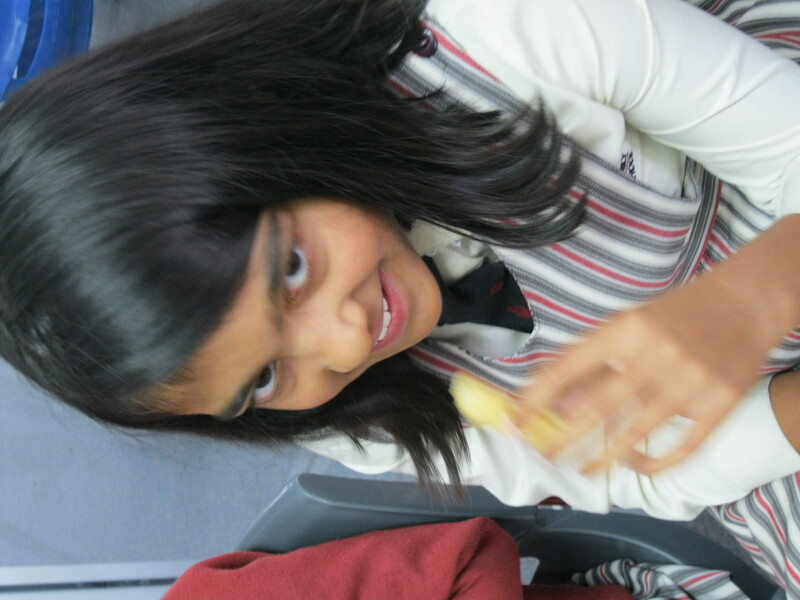 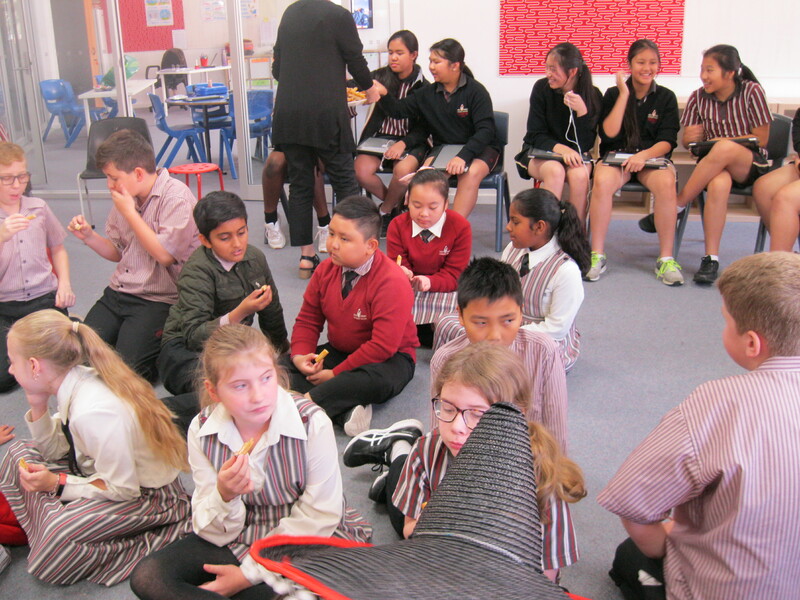 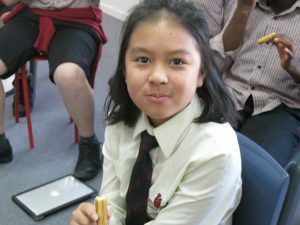 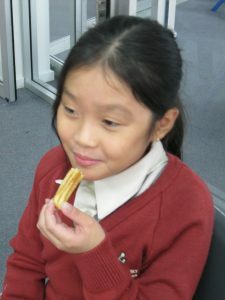 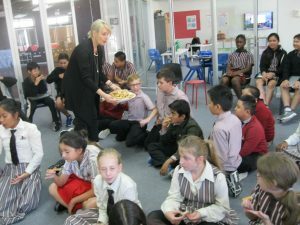 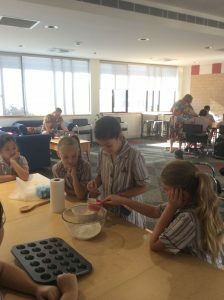 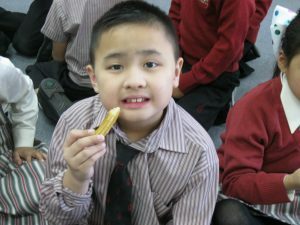 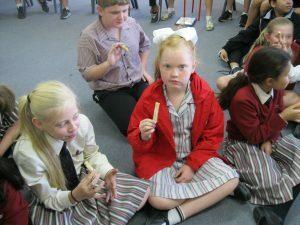 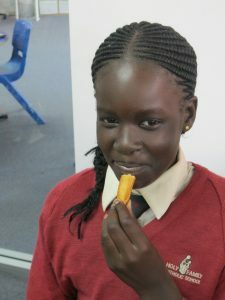 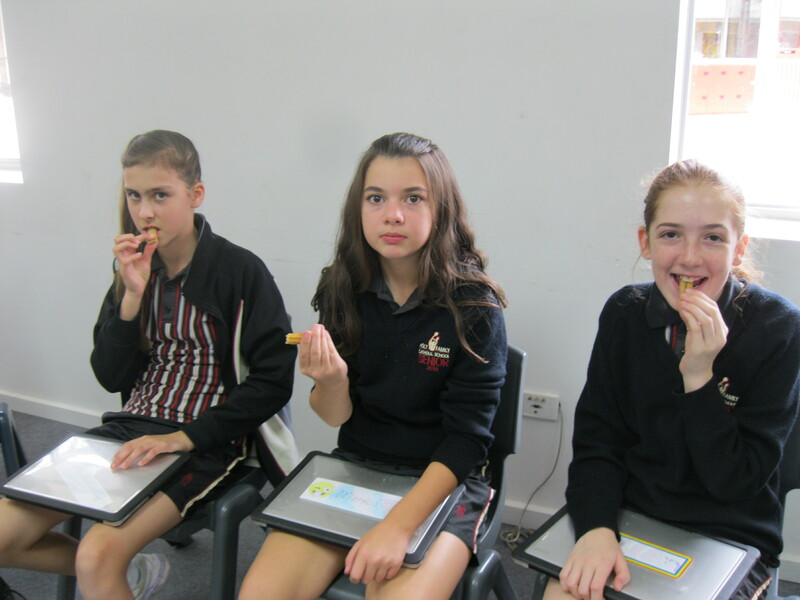 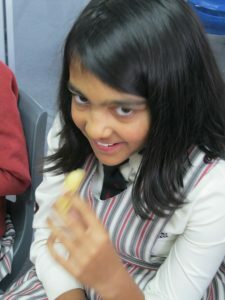 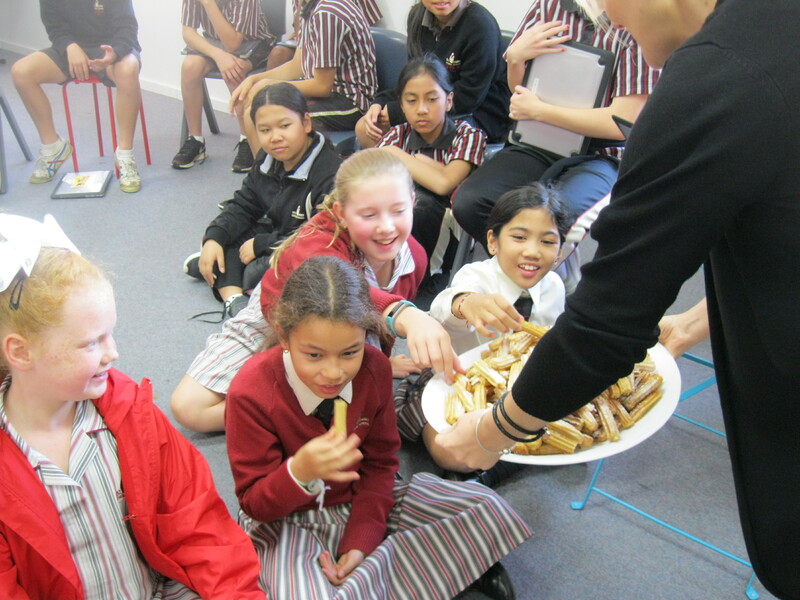 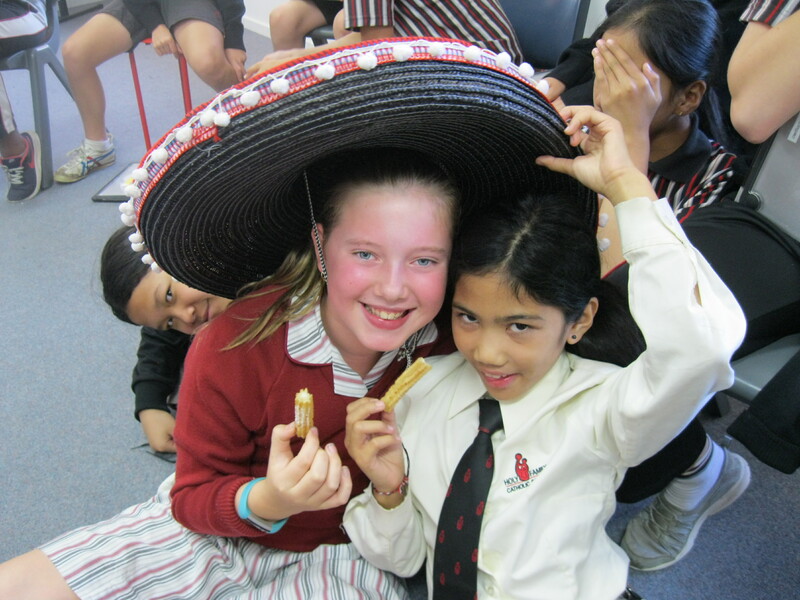 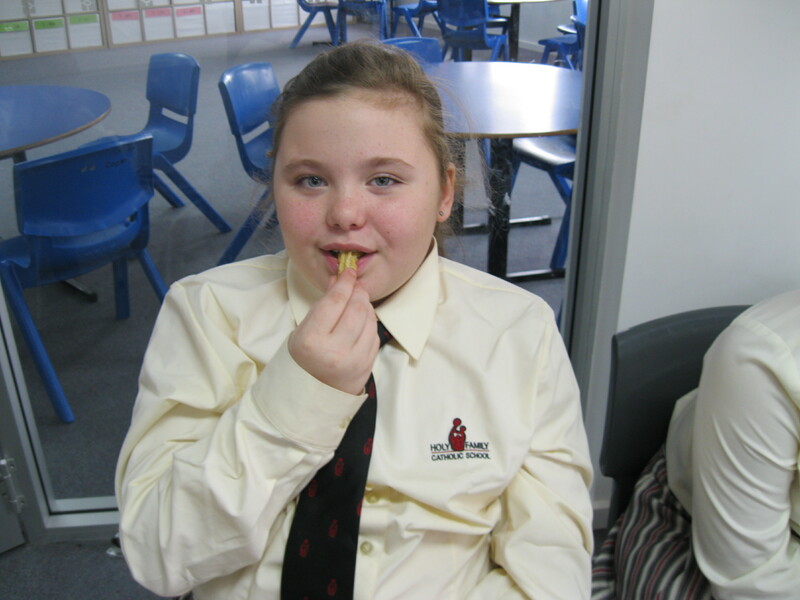 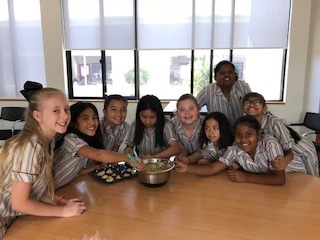 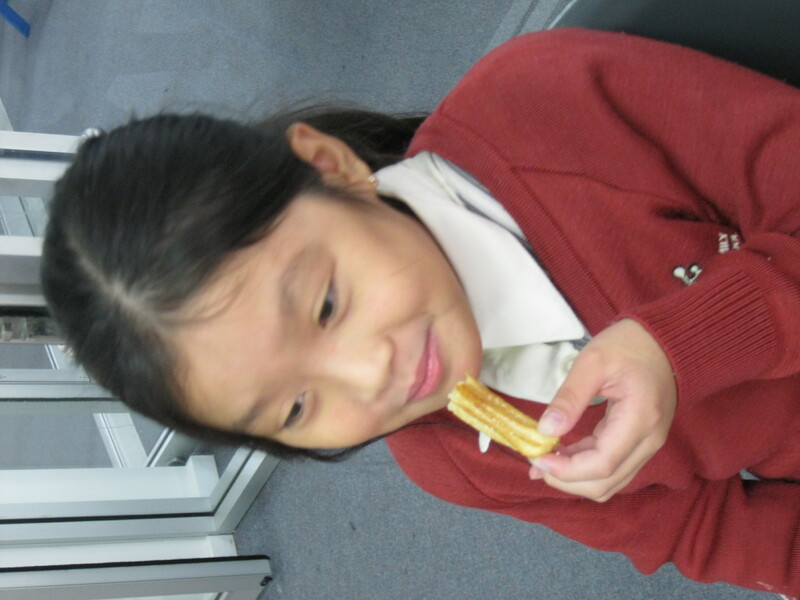 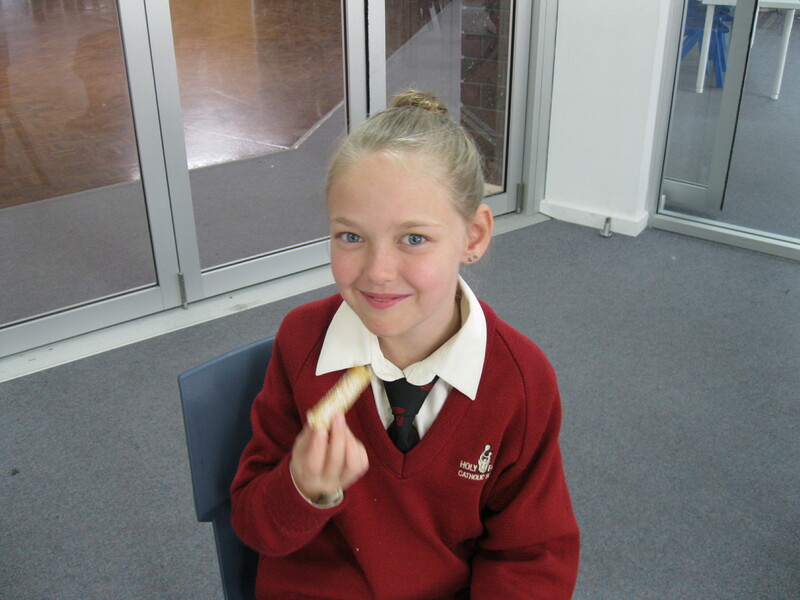 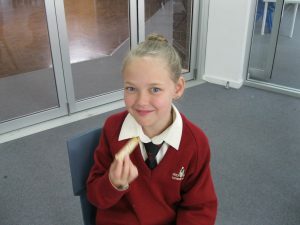 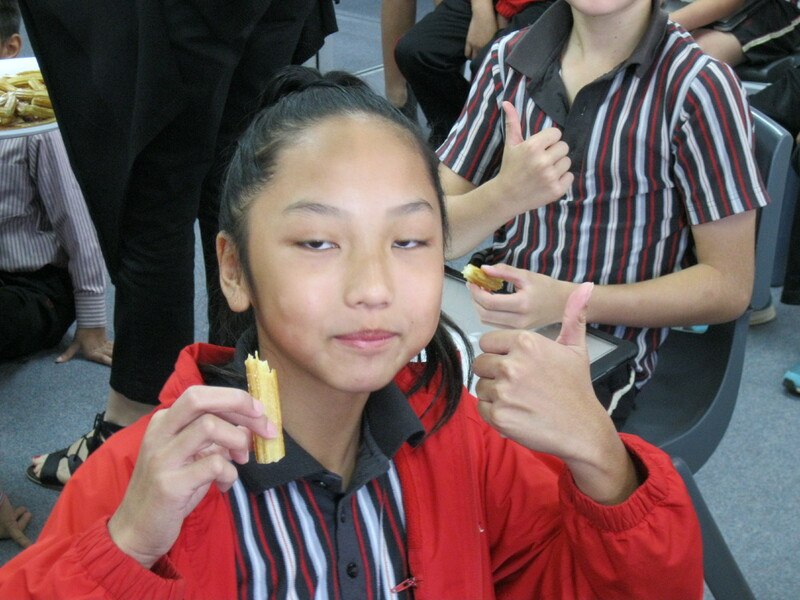 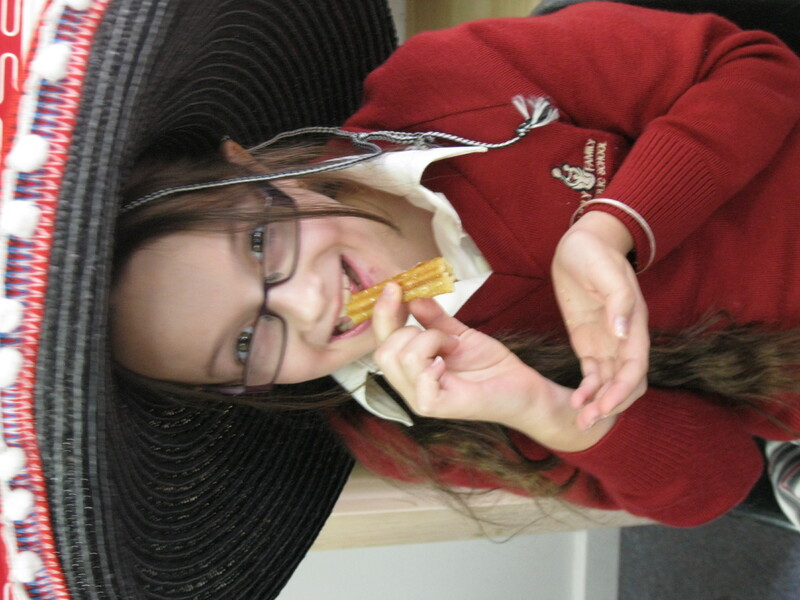 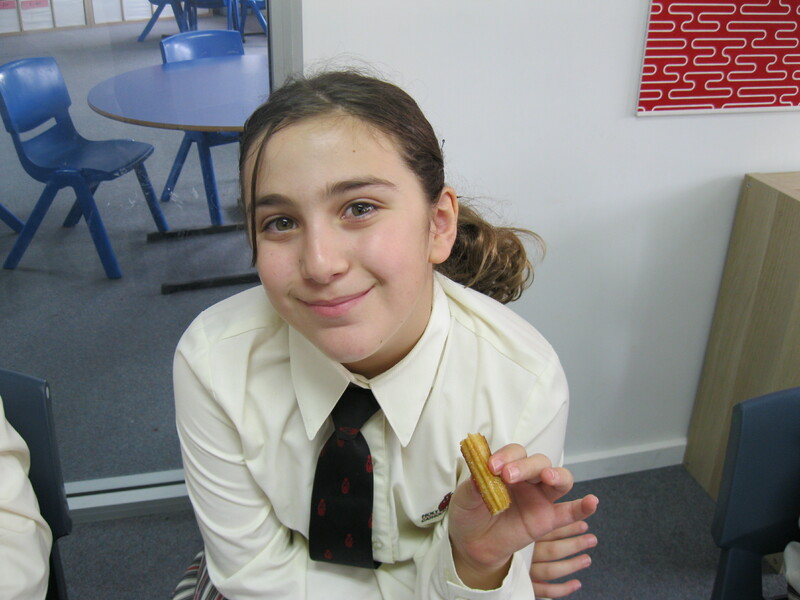 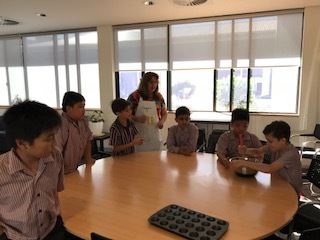 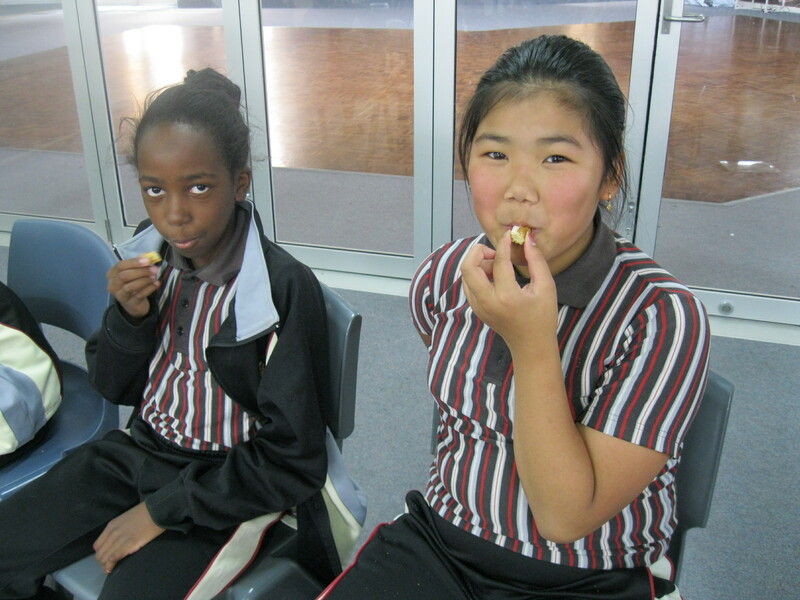 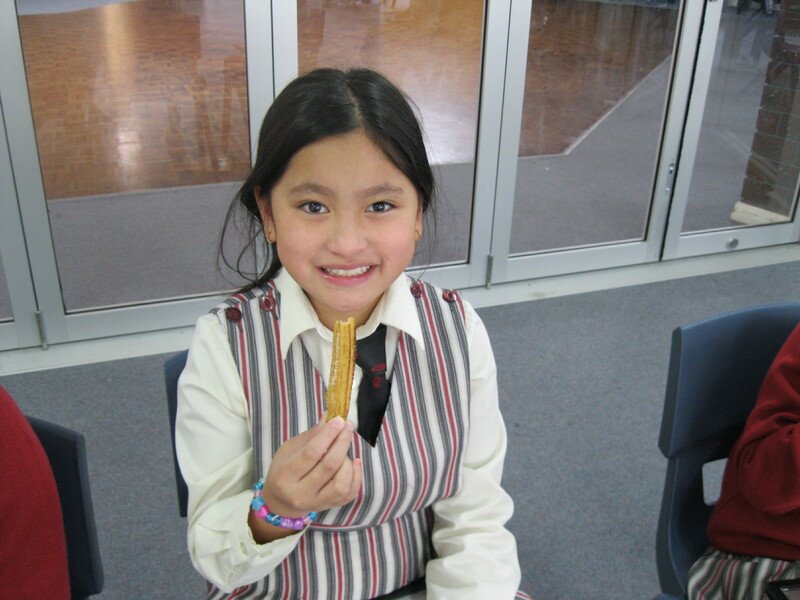 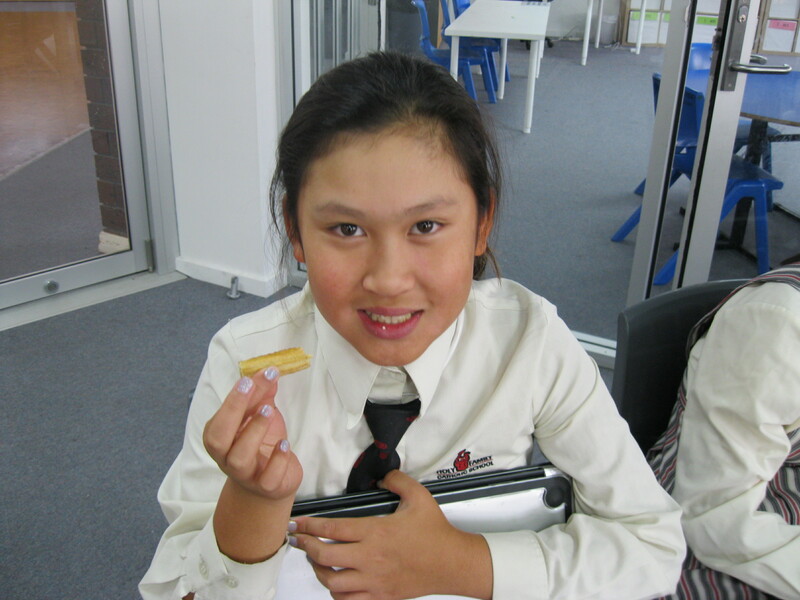 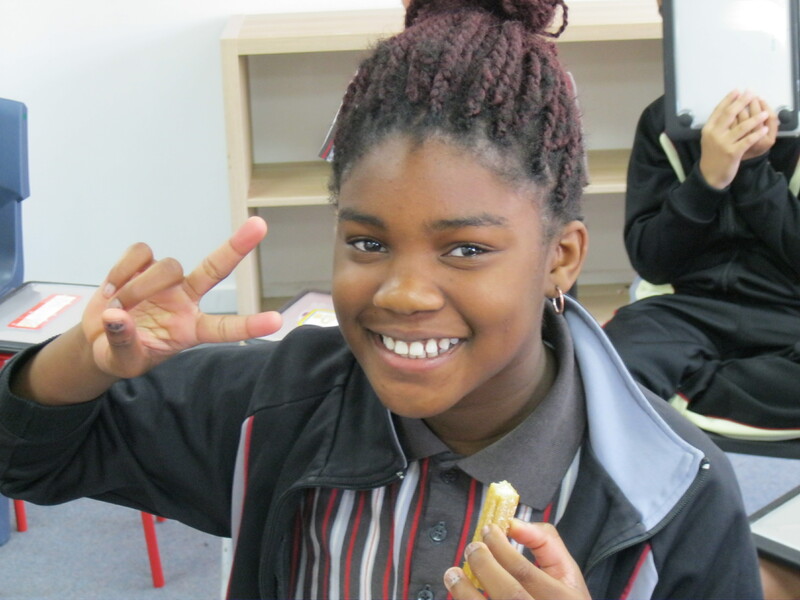 To celebrate the “Cinco de Mayo” students learnt about the Mexican cultural celebrations and had the opportunity to try some yummy Churros! 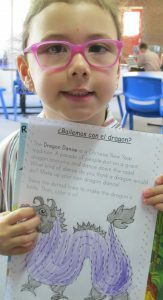 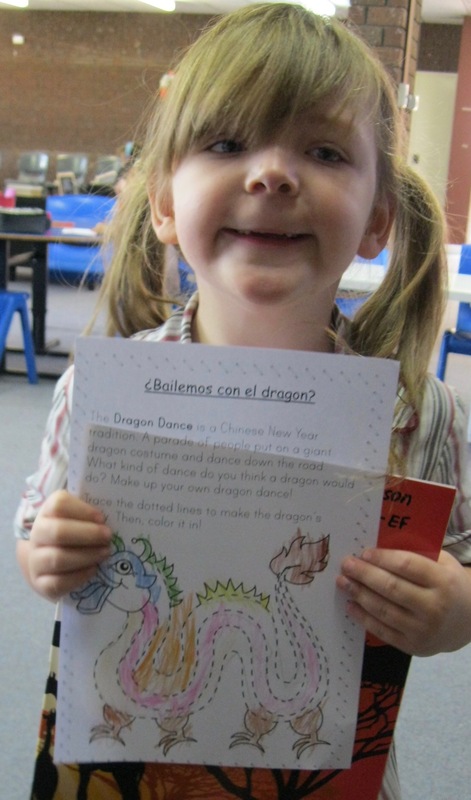 Students in Year 1 and 2 have been learning how to ask someone their name and introduce themselves in Spanish. This has allowed students the opportunity to learn how to ask and answer “Hola. 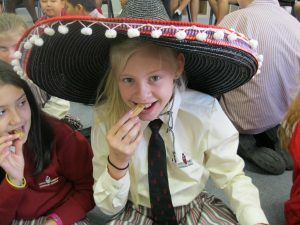 ¿Cómo te llamas? 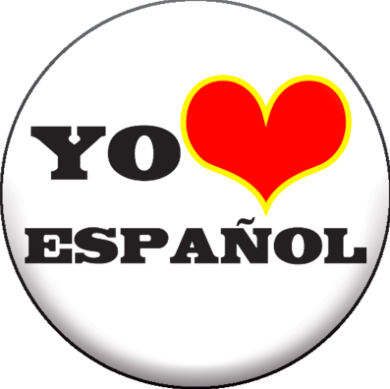 Me llamo ____.” (Hello. What’s your name? 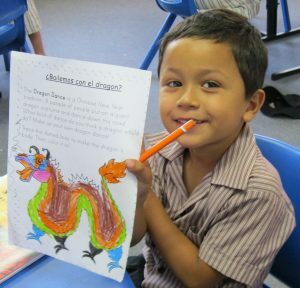 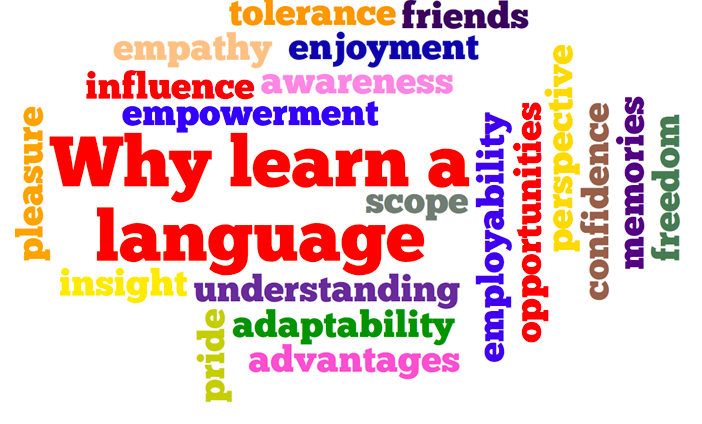 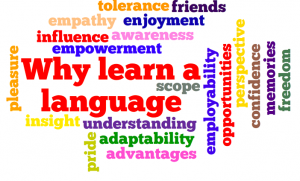 I am called ________) This has given students a chance to strengthen their oral language skills. 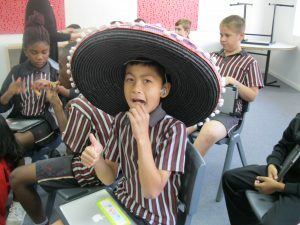 As part of the lesson students listened to the song ¿Cómo te llamas? 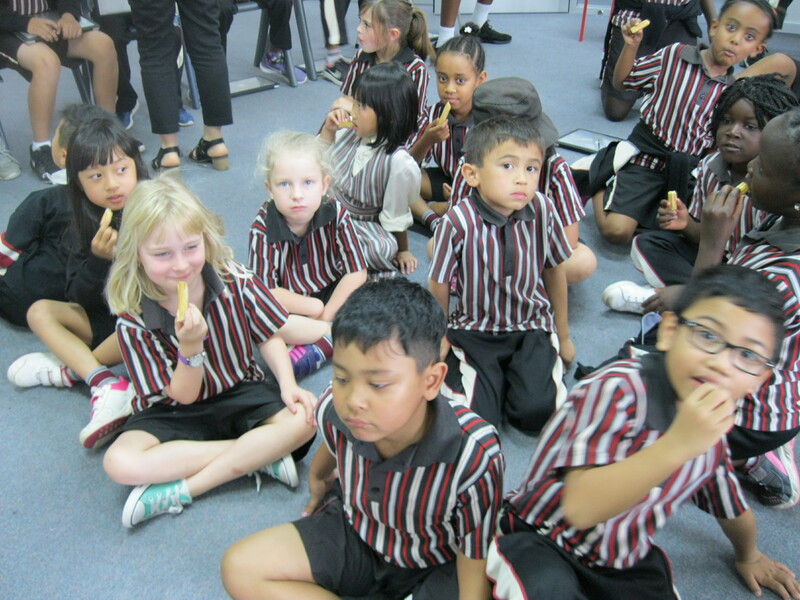 They sang along and participated by using our own names. 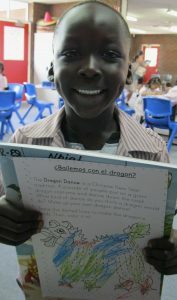 Students by the end of the lesson were able to introduce themselves in Spanish. 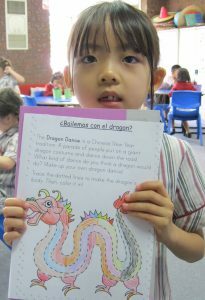 Here are some examples of the student’s oral language. 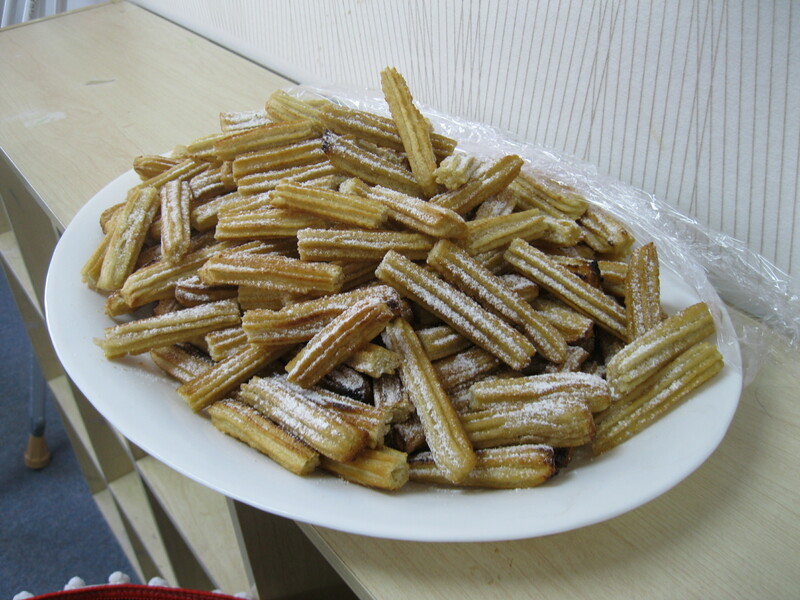 Churros are a famous Spanish treat that are popular in many countries. 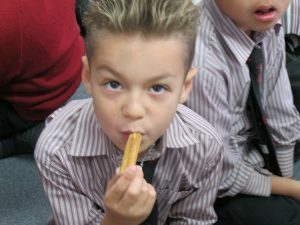 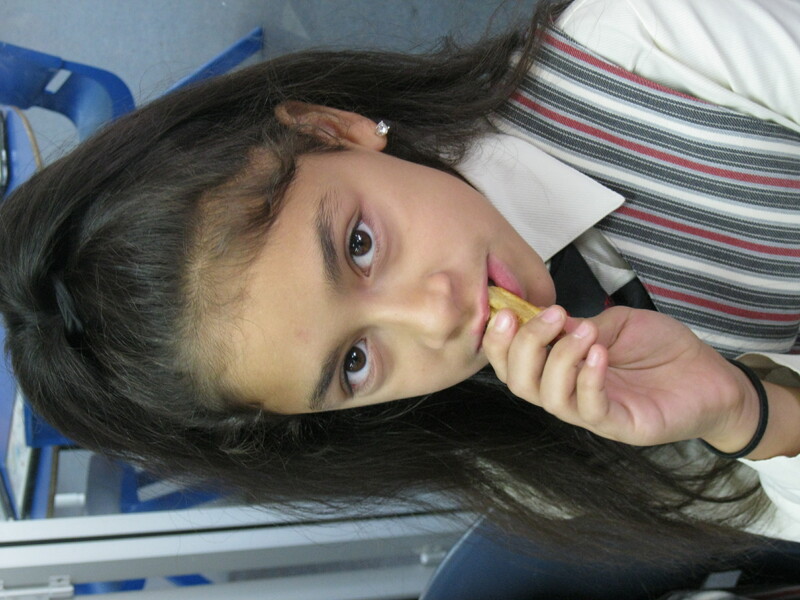 They are often eaten at breakfast – desayuno or as a snack – bocado. 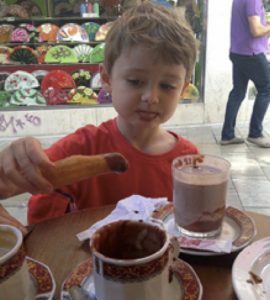 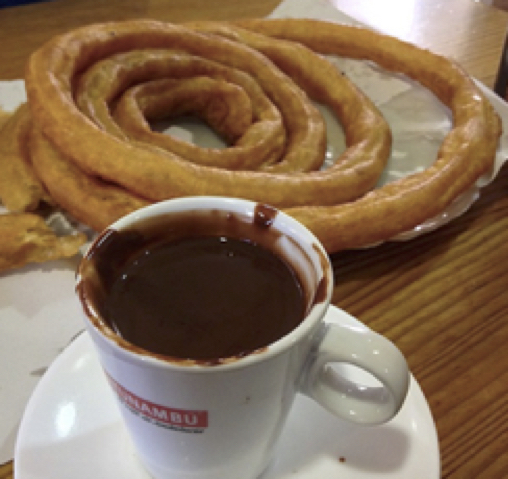 Churros are a deep fried-dough pastry that is typically served with hot chocolate. 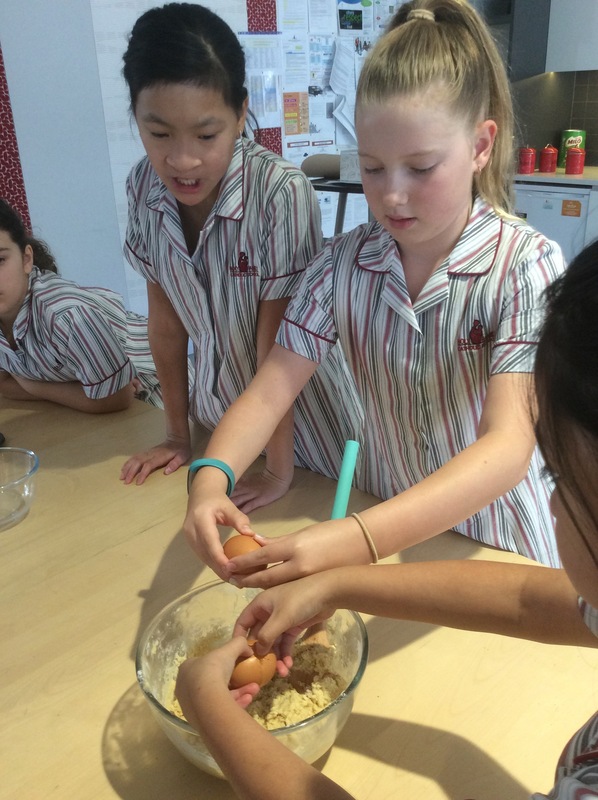 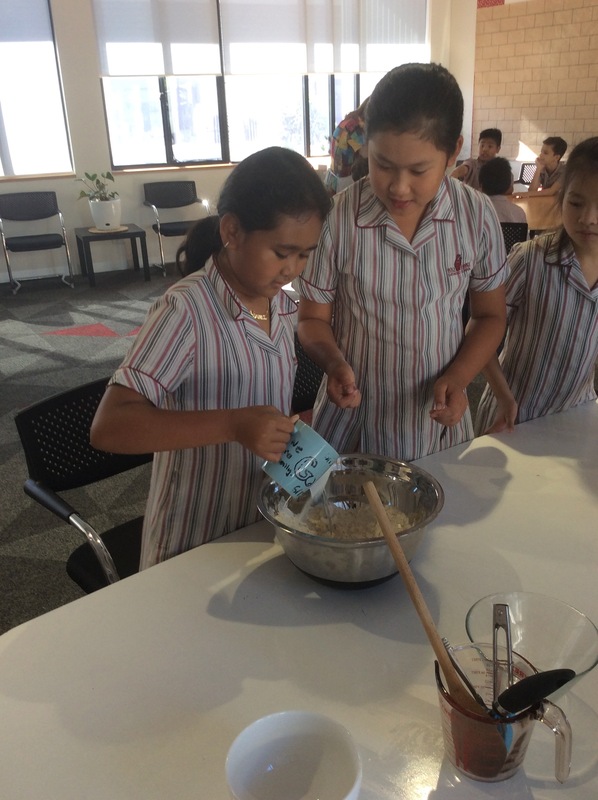 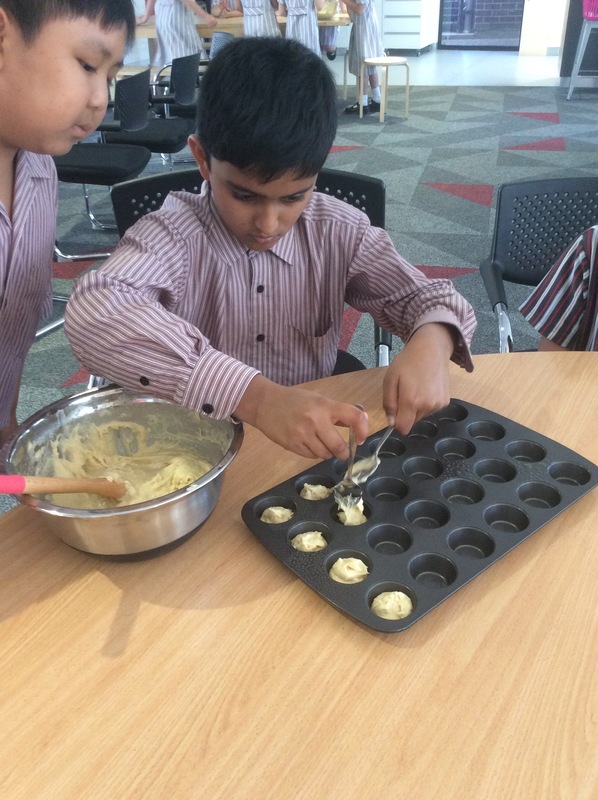 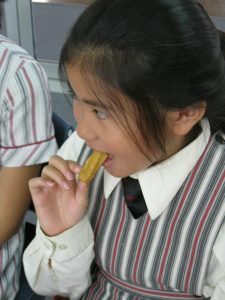 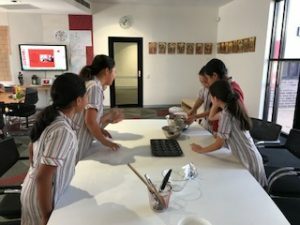 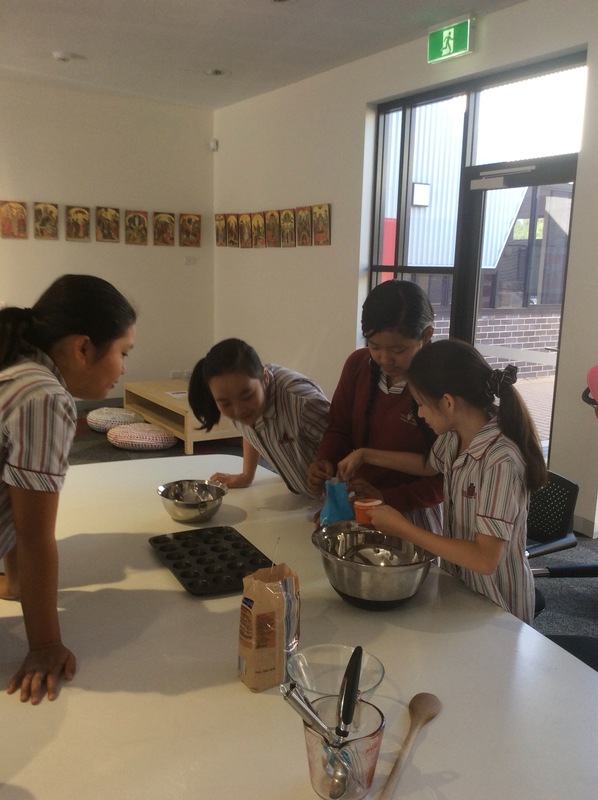 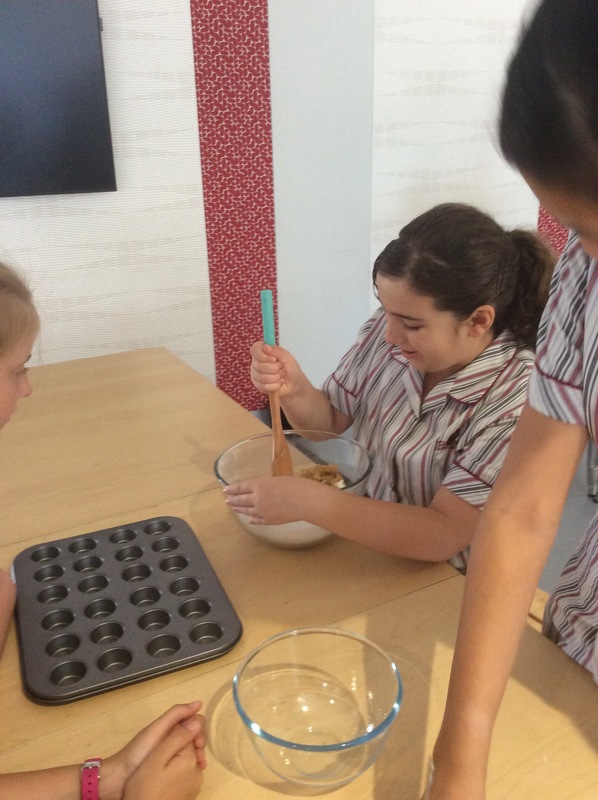 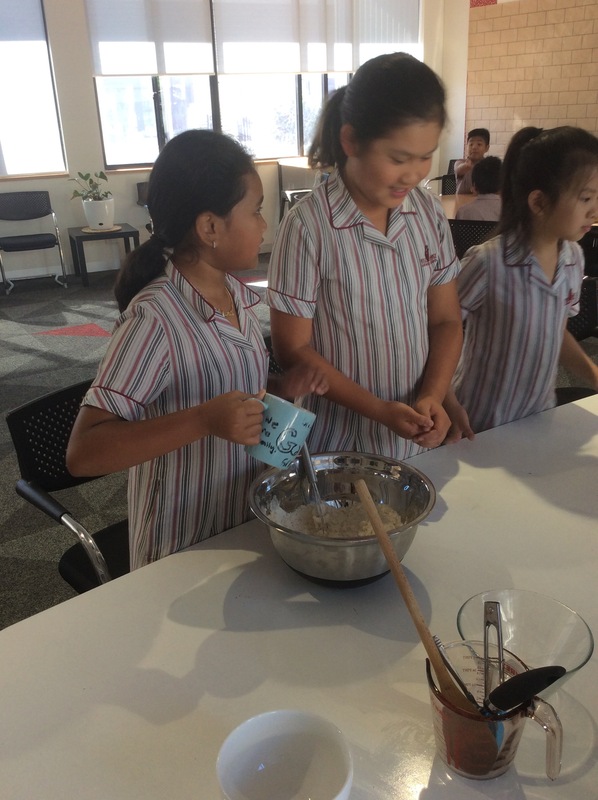 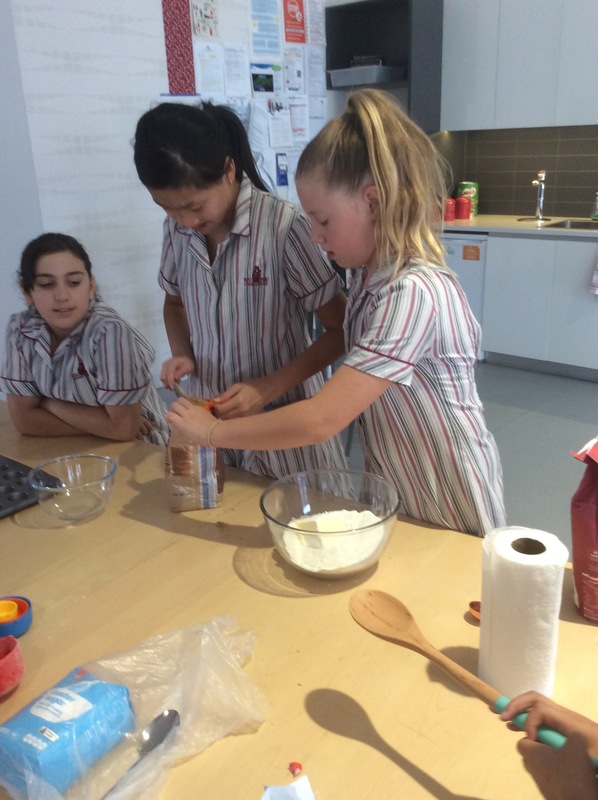 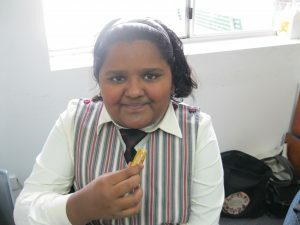 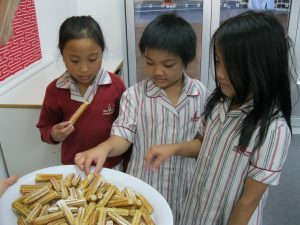 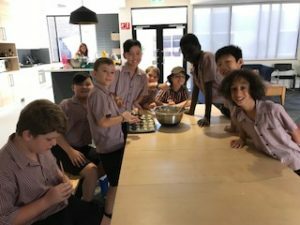 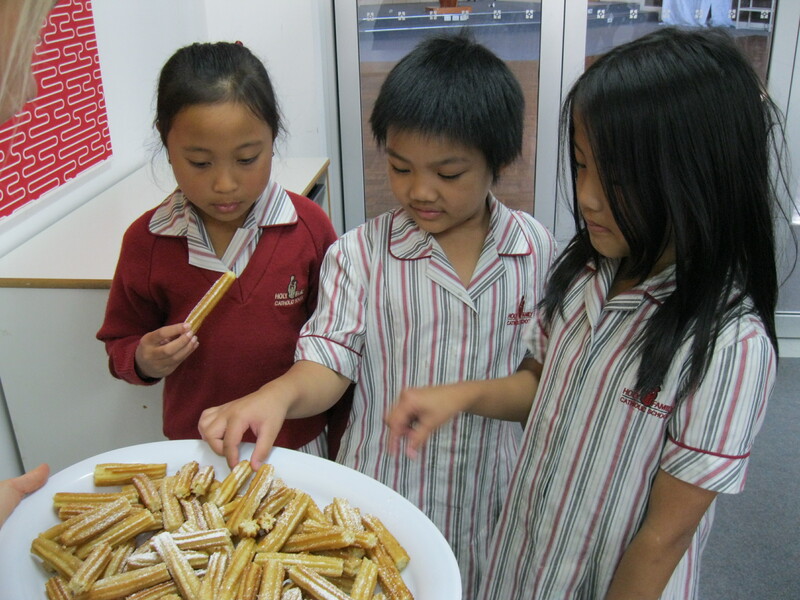 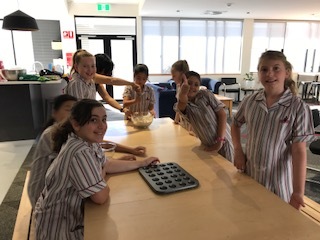 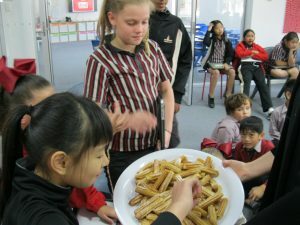 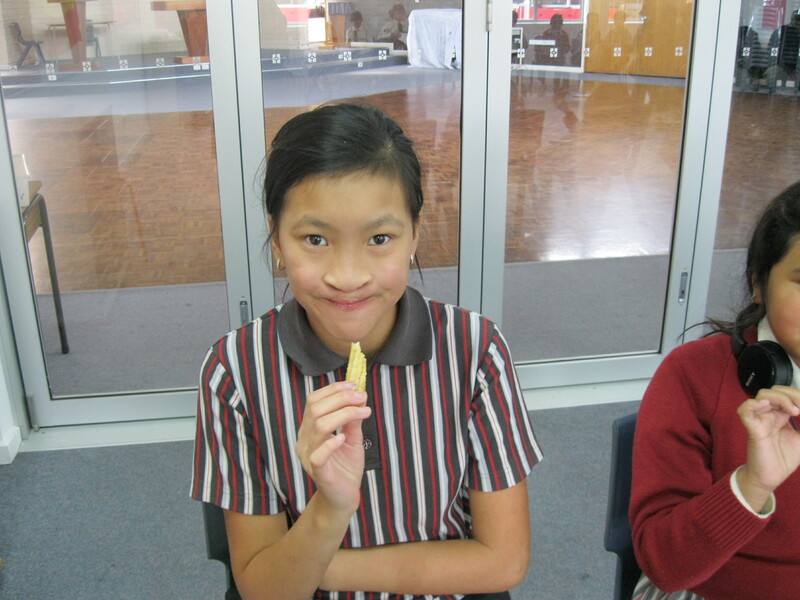 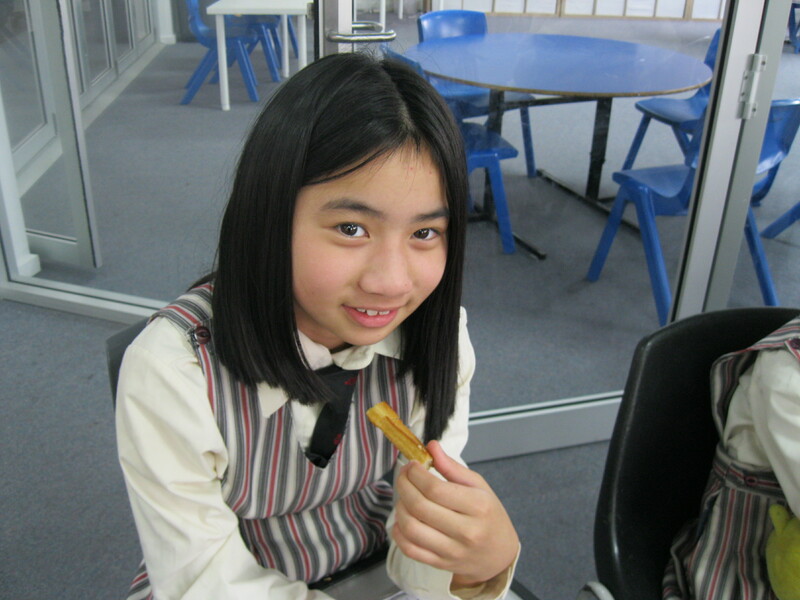 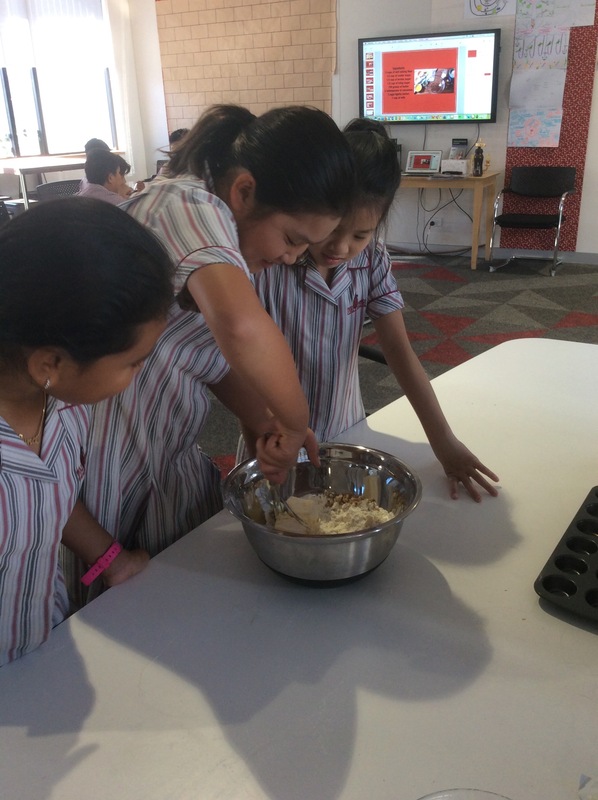 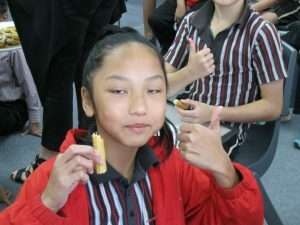 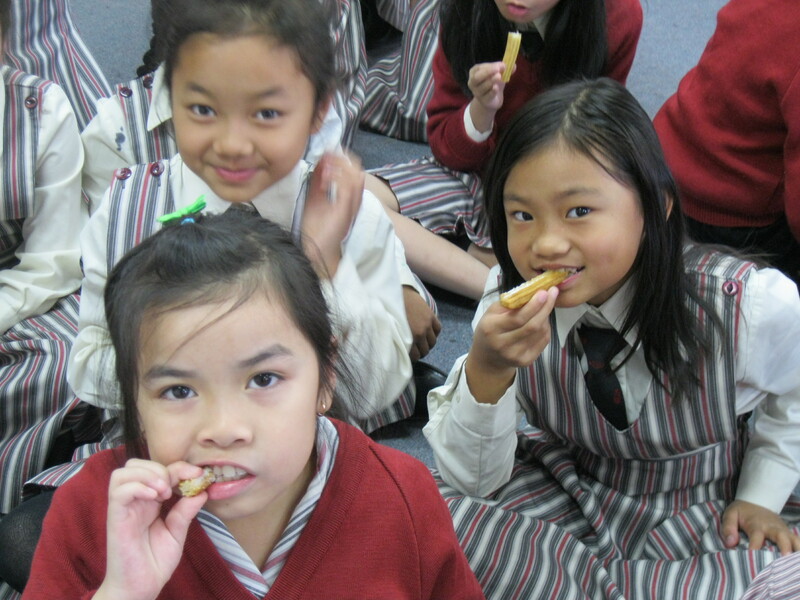 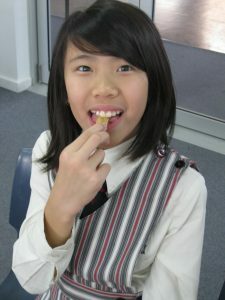 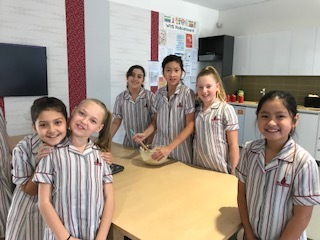 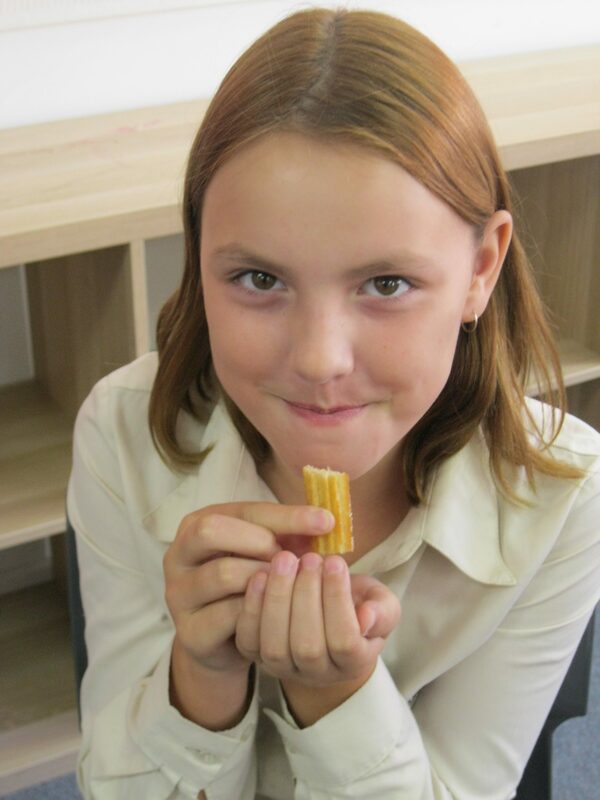 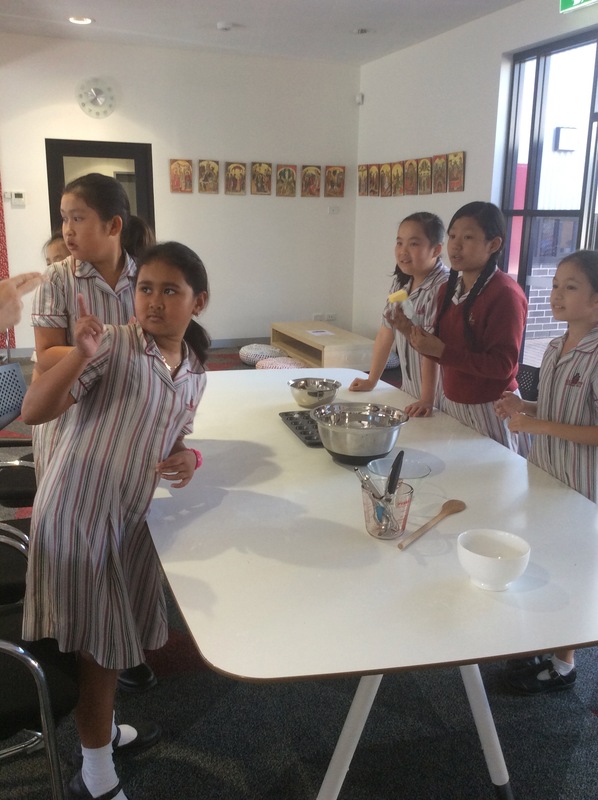 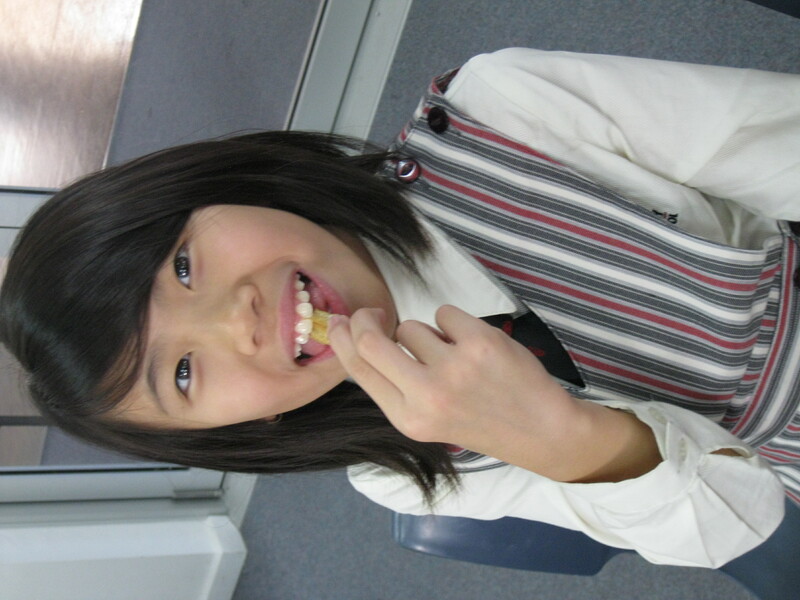 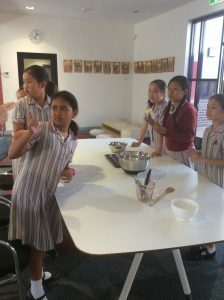 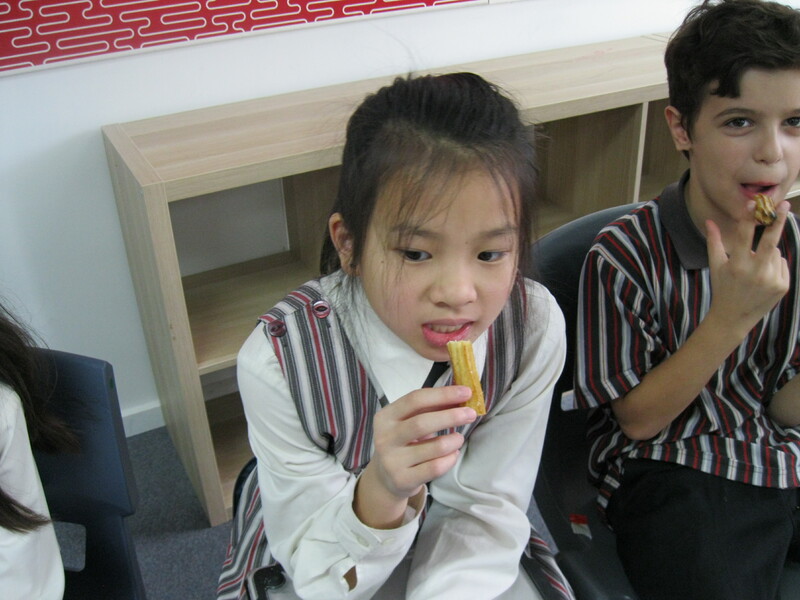 Students spent the morning cooking our own version of ‘churros’. 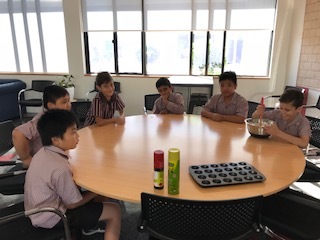 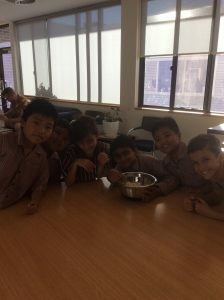 We began the lesson by discussing the cultural aspects of any community besides its language, its food is a very important part of its culture. Especially, when we’re talking about Spain, with its vibrant traditions and unique style of life! Cooking allowed students to discuss and examine the similarities and differences of foods from around the world and what they eat at home. It promoted discussions regarding certain beliefs and stereotypes and allowed for the uniqueness of diversity that makes up our class to be reflected on. 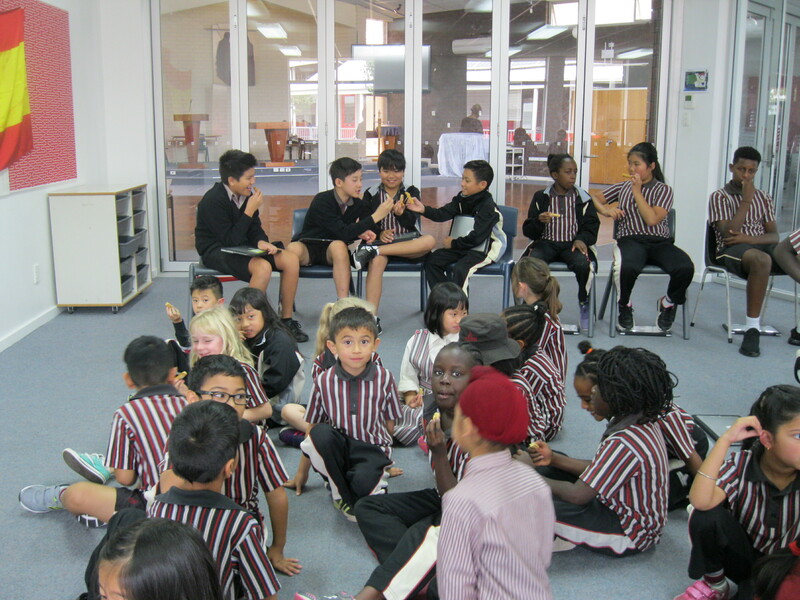 Discussions regarding diversity helped students to gain an appreciation and sensitivity towards different cultures. It led to a reflection on the strength of food to bring people together – How it is good to enjoy, celebrate and explore foods from all cultures. 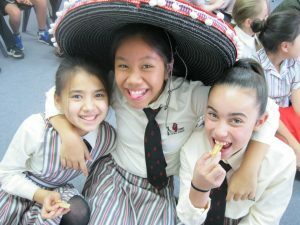 Especially given the multicultural community that students in our class come from and celebrating these. 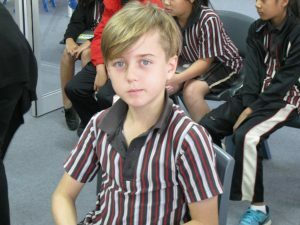 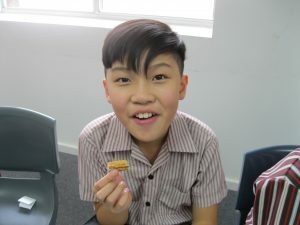 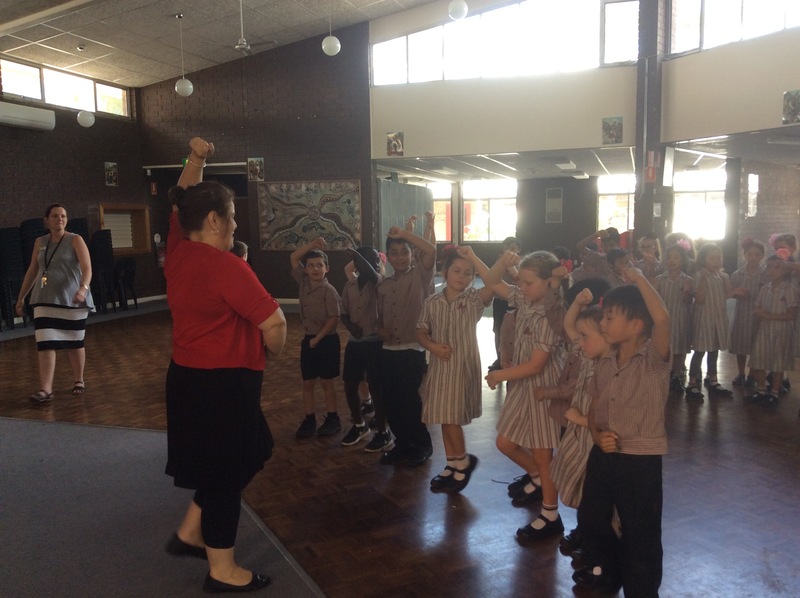 During Week 6, the Year 1’s and 2 students have been practicing greetings using songs and corresponding actions. 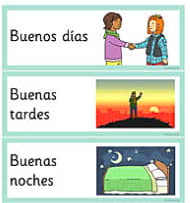 This activity helped expand the students’ understanding and usage of common greetings. 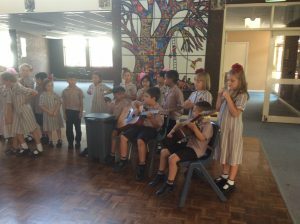 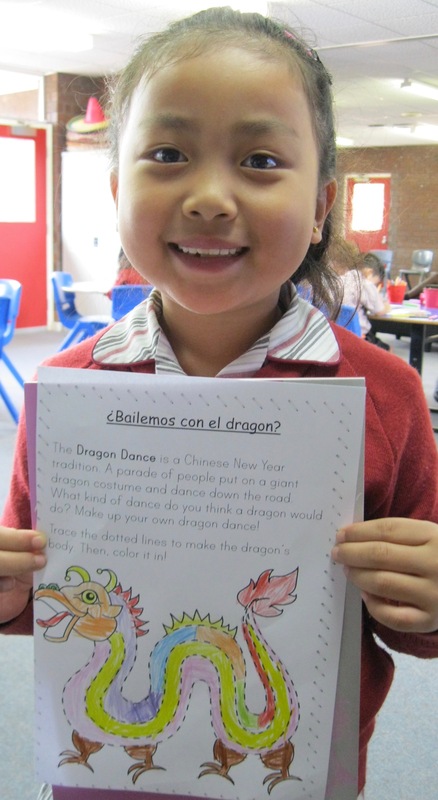 Please enjoy watching some of the Year 2’s canto y baile – singing and dancing. The Year 2’s have been learning about how to greet someone at different times of the day. They learnt a ‘Buenas Tardes’ (Good Afternoon) song. 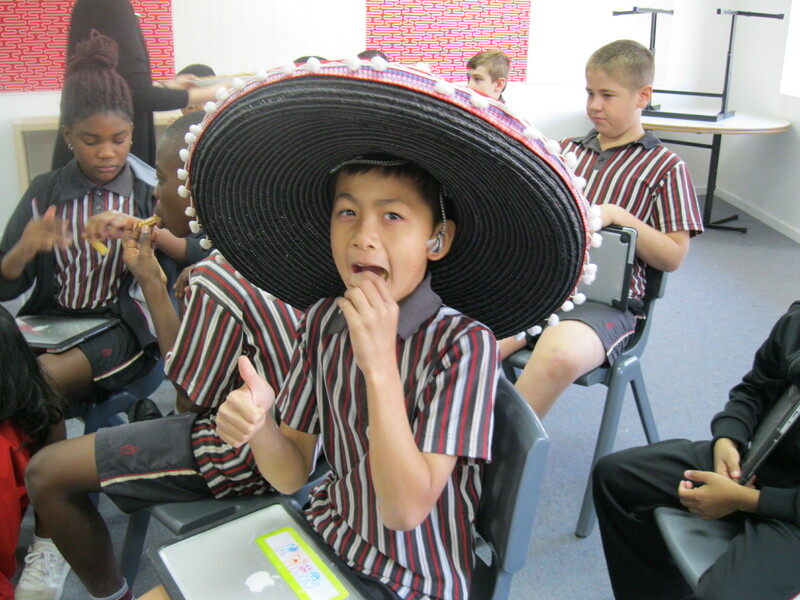 They were ‘fantastico’ at their singing! 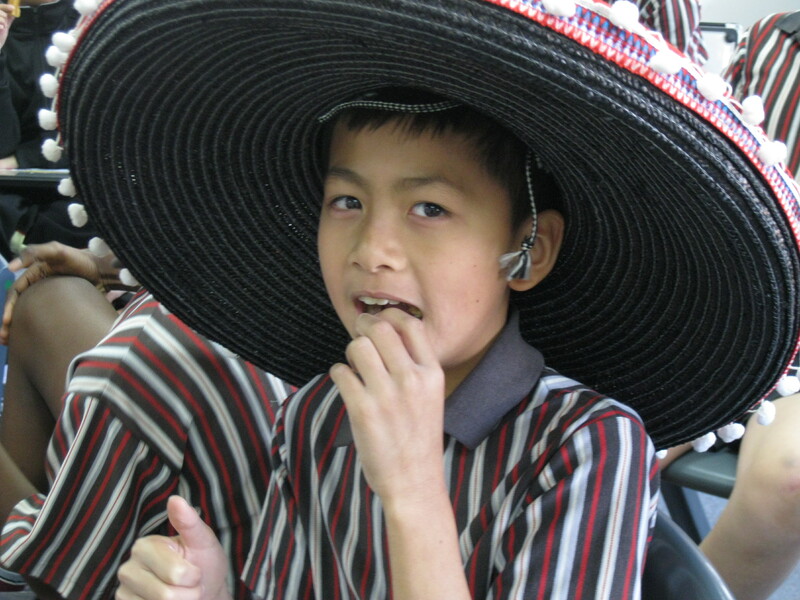 Please enjoy watching them ‘cantando’ (singing) the ‘cancion’ (song). 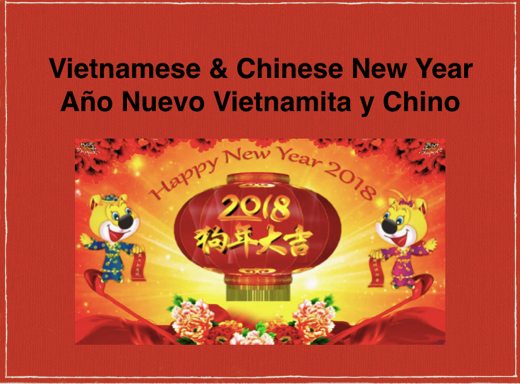 In 2018, the official Chinese and Vietnamese New Year celebrations will commence on the 16th Febrero, and continue through to 2 Marzo. 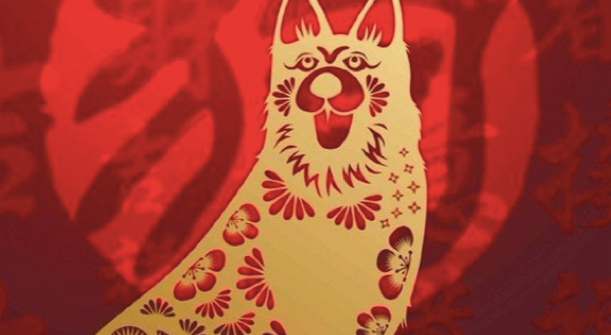 Many festivals and events will take place throughout this time to mark the beginning of the Año del Perro, (Year of the Dog). 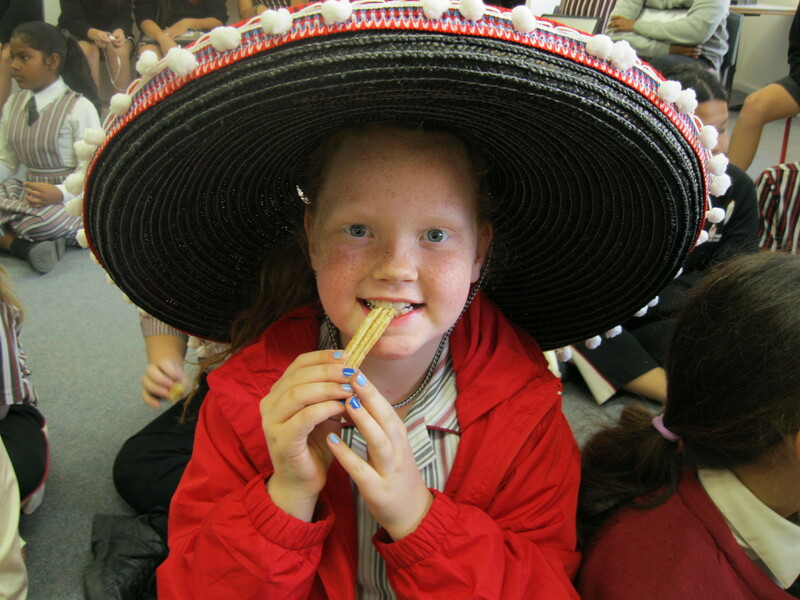 Opening students to celebrations and traditions from around the world is a powerful way to build their cultural understanding and develop their respect for others. 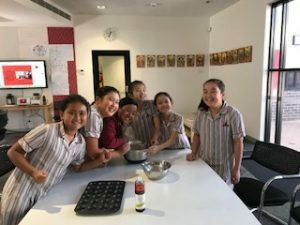 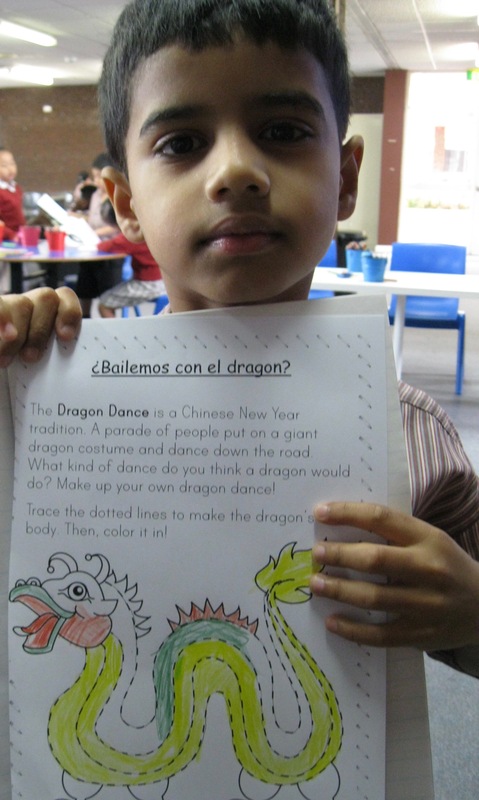 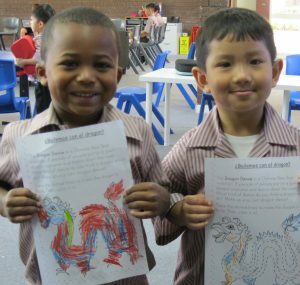 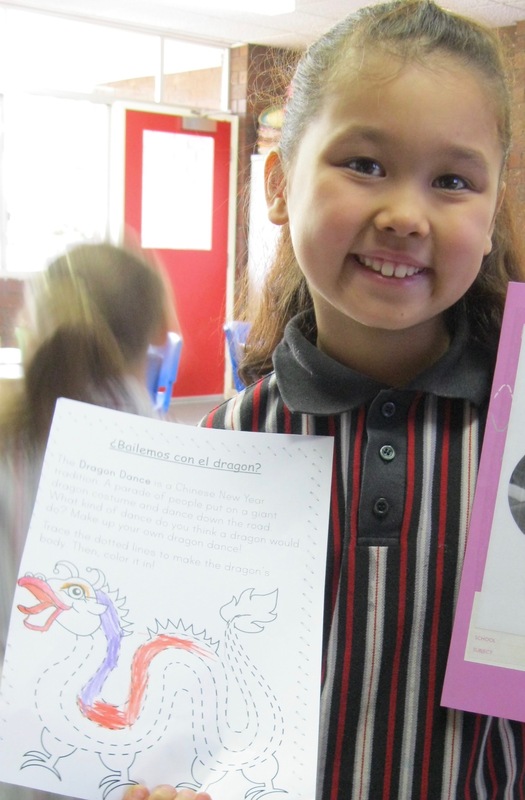 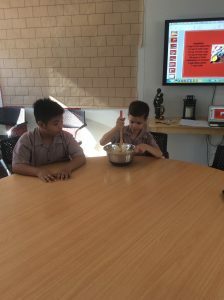 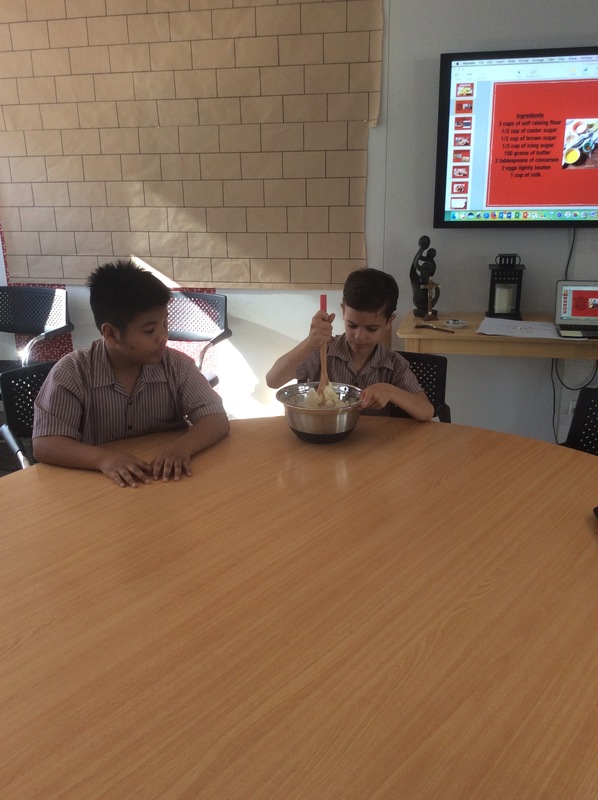 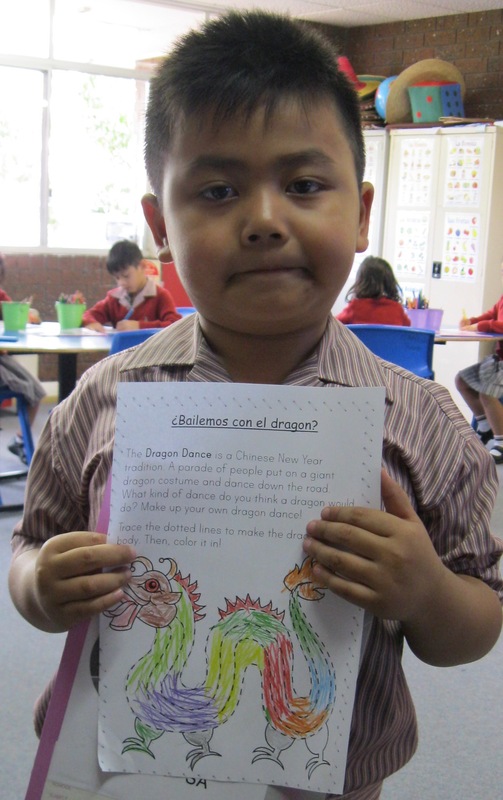 During Weeks 2 and 3, students have been examining the cultural traditions of Vietnamese and Chinese New Year with a Spanish twist. 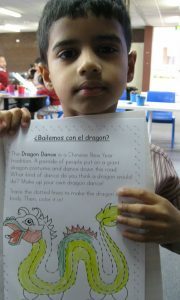 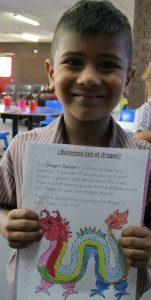 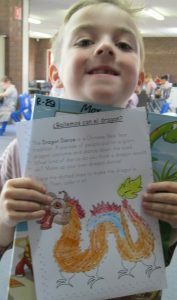 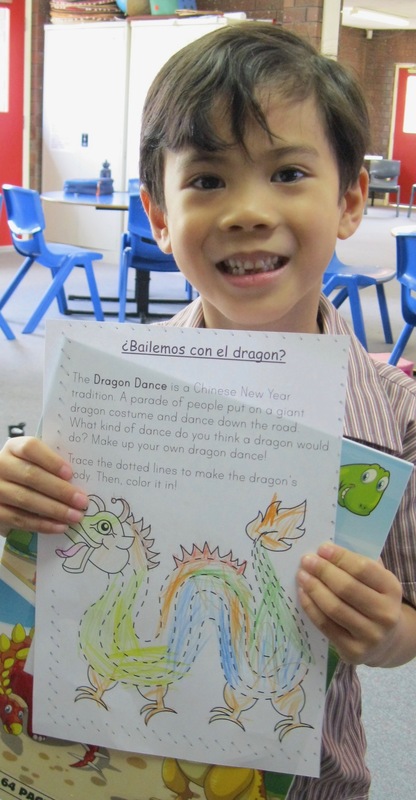 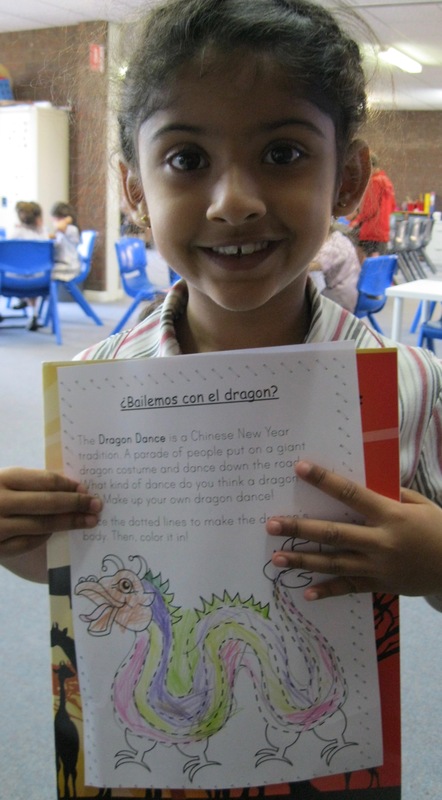 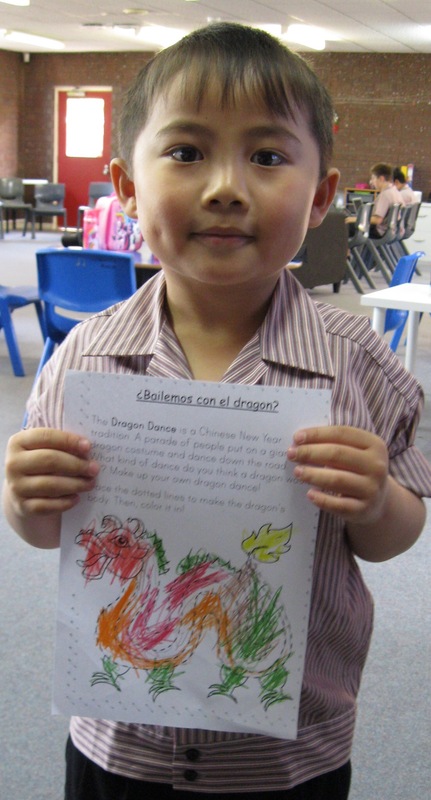 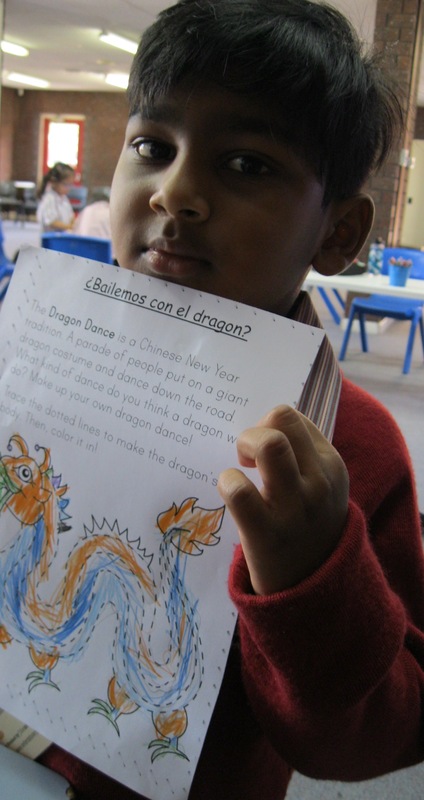 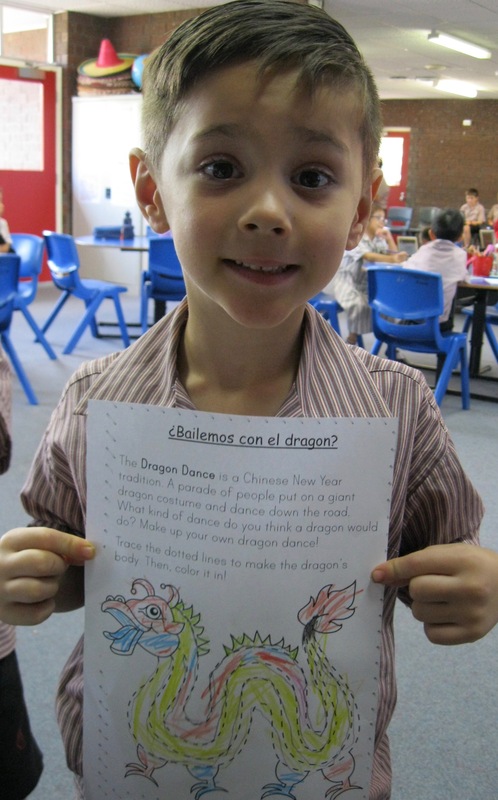 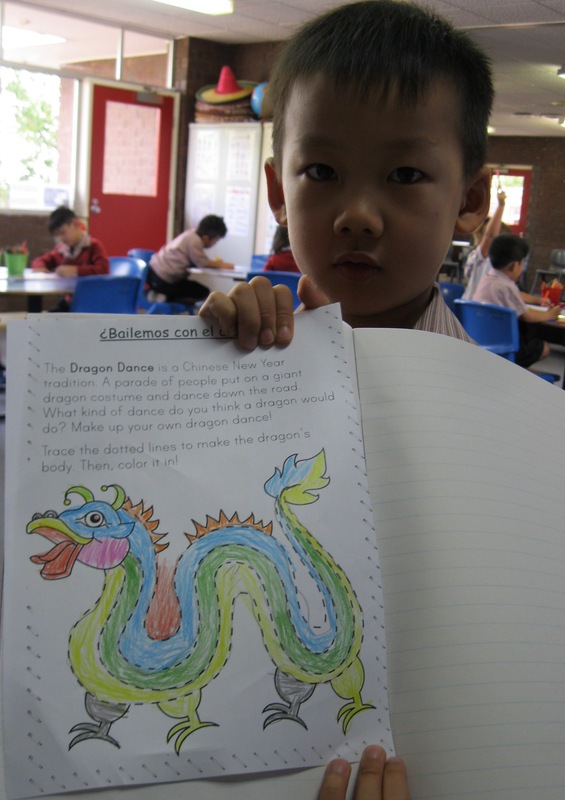 The Receptions and Year 1’s have been investigating El Baile de el Dragon (The Dragon Dance). They discussed what they liked about the baile (dance) and their experiences at the assembly. 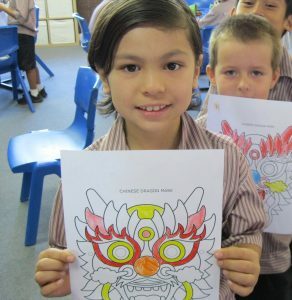 Nine Asian countries celebrate the Lunary New Year. 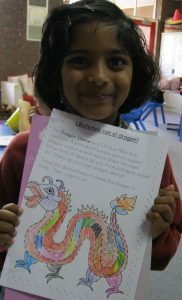 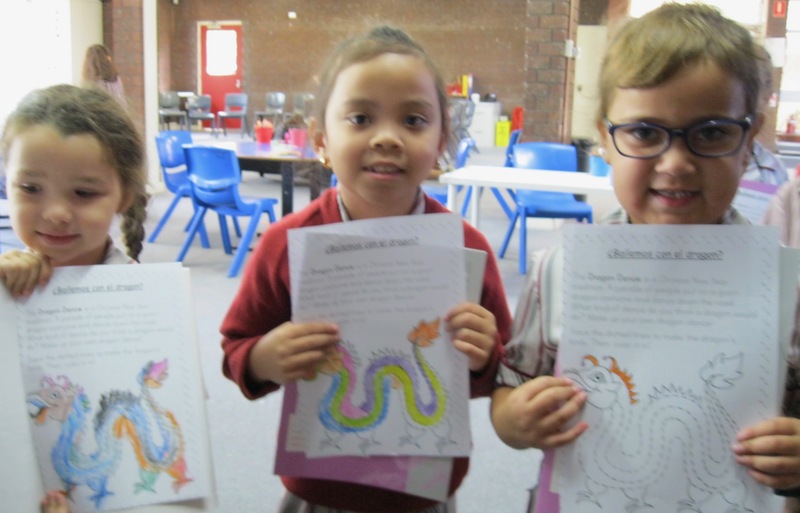 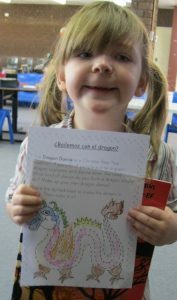 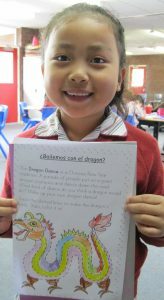 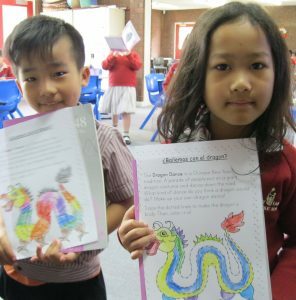 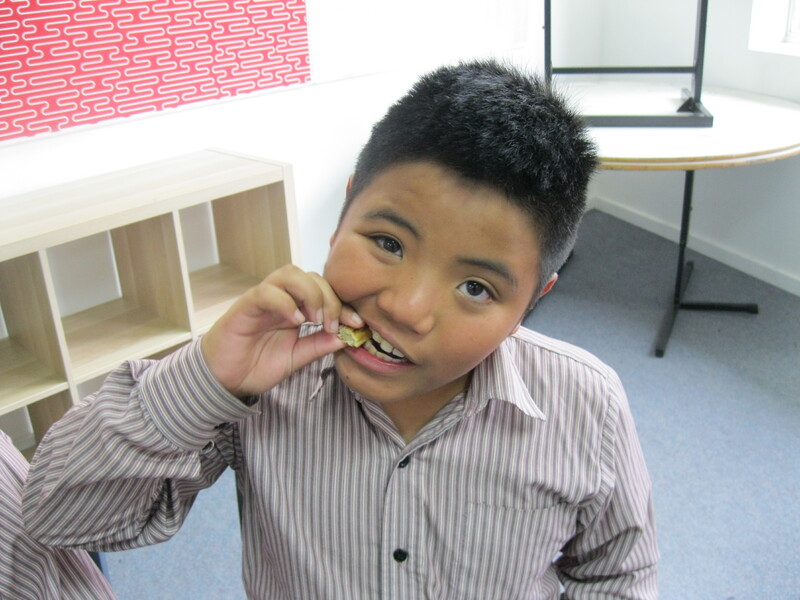 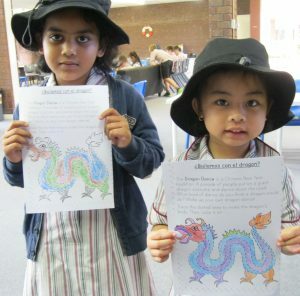 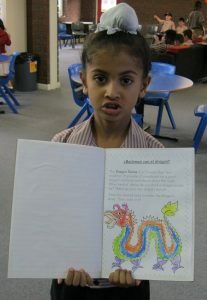 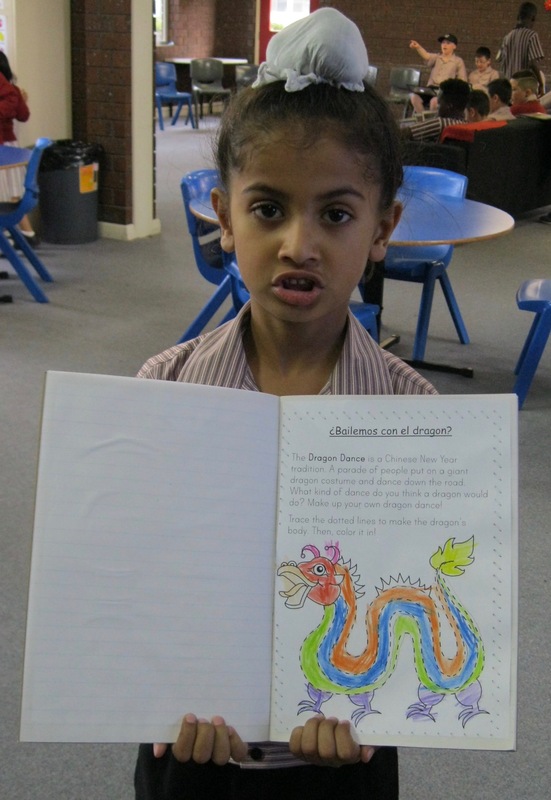 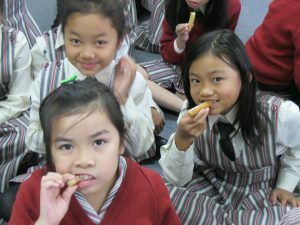 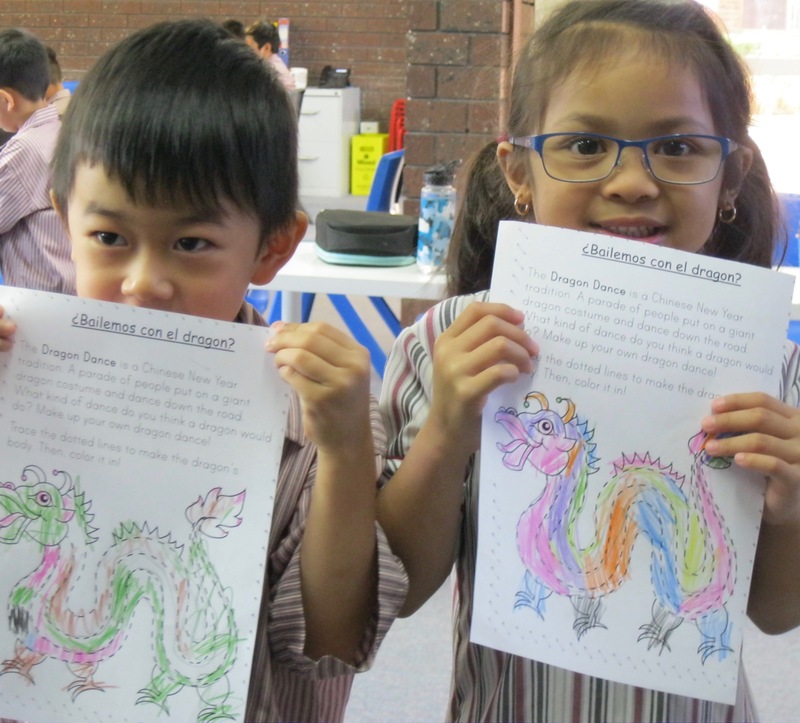 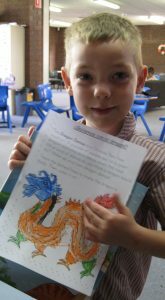 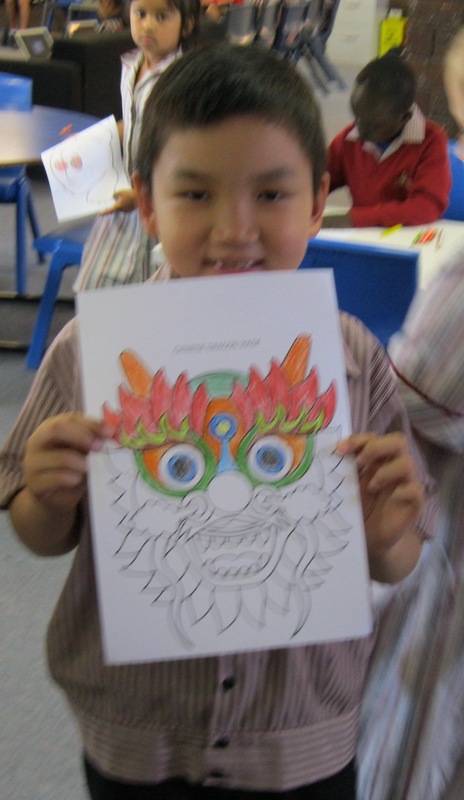 As part of the celebrations the year 2’s had a lot of fun learning about Chinese and Vietnamese New Year. 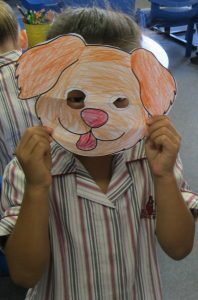 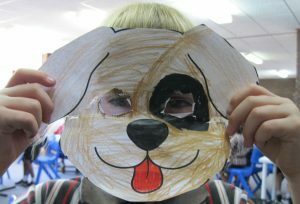 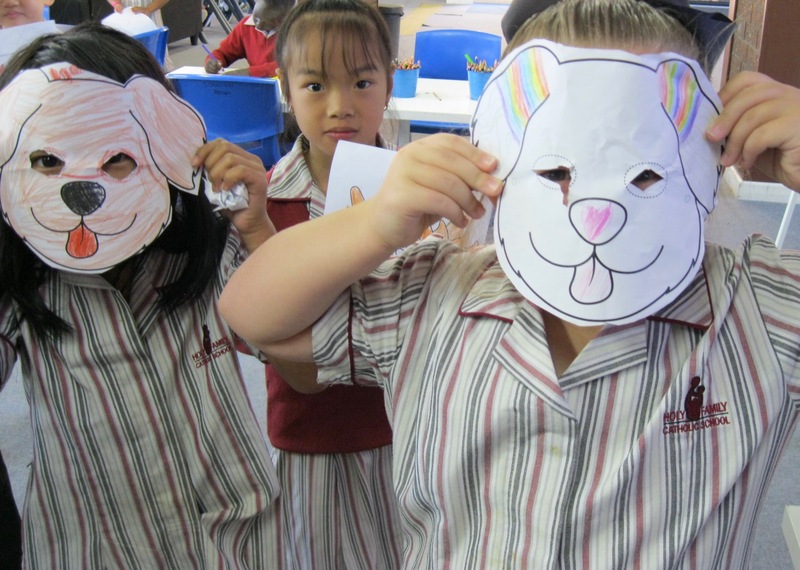 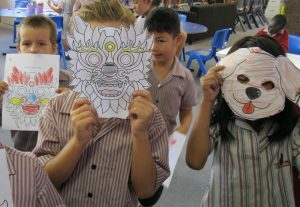 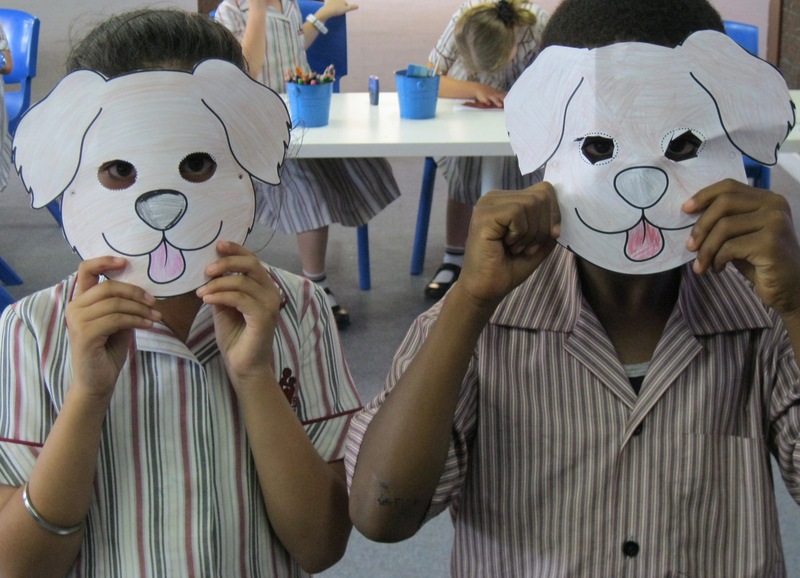 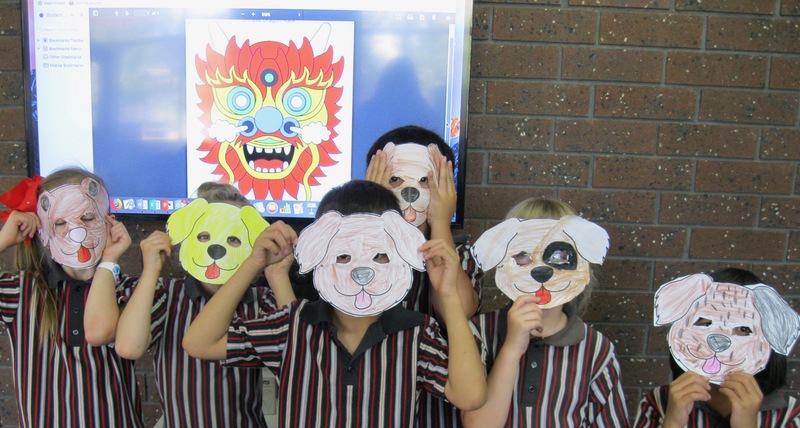 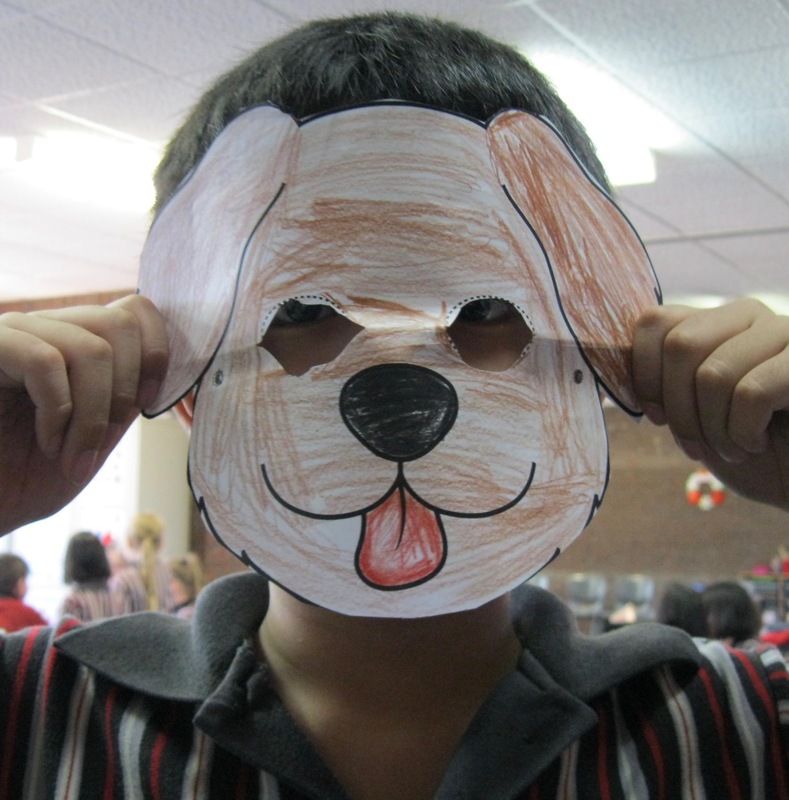 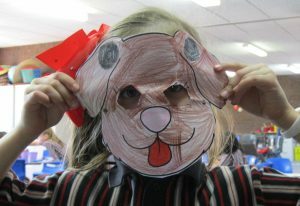 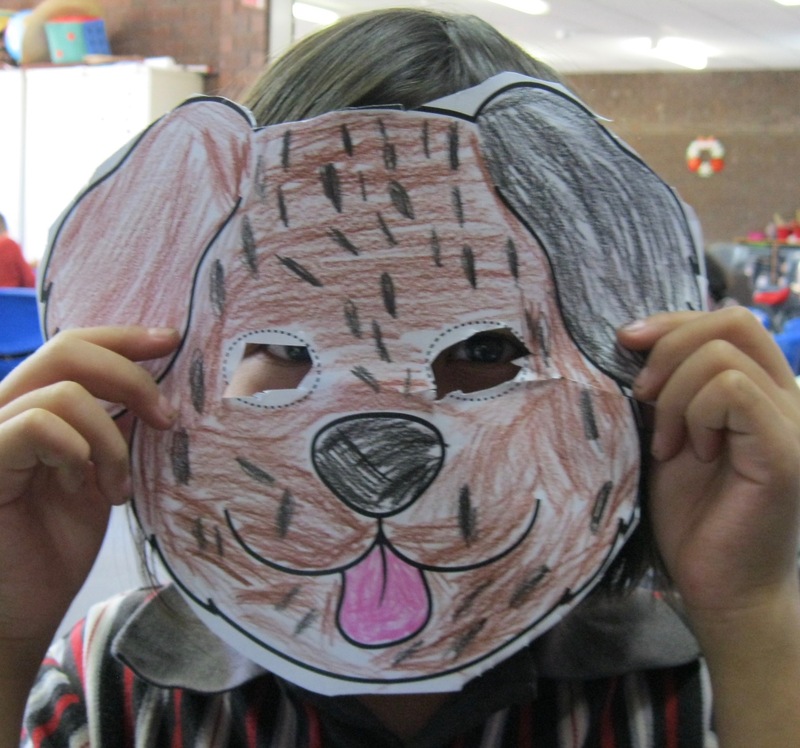 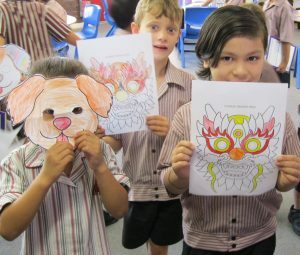 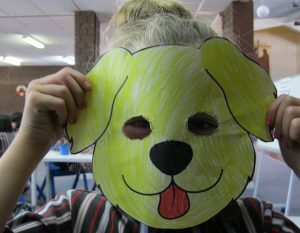 The Year 2’s really enjoyed making Dragon y Perro masks for Chinese and Vietnamese New Year. 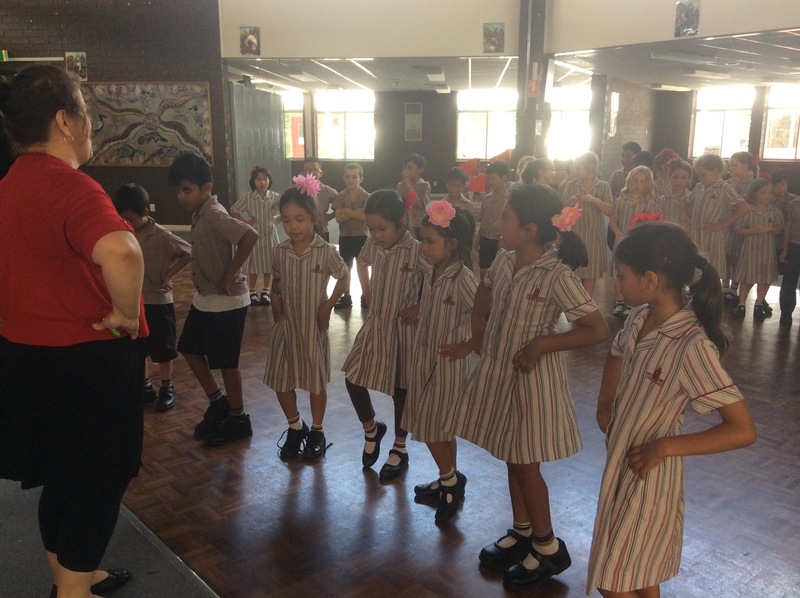 For Harmony Day students in Year 2 performed a Flamenco Dance at the assembly. It was a great effort by all the students involved. 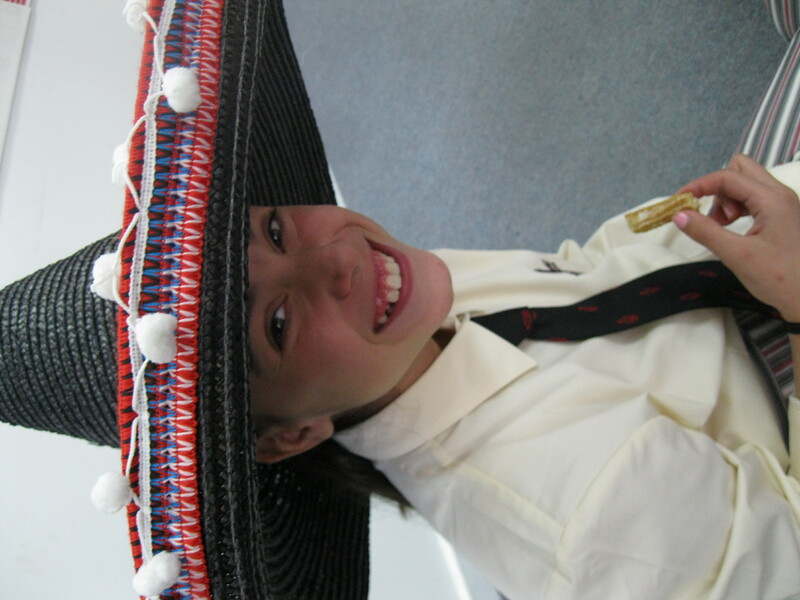 We want to give a big “Gracias” (thank you) to Louisa who organised the choreography. Here are some photos of the children learning the flamenco.